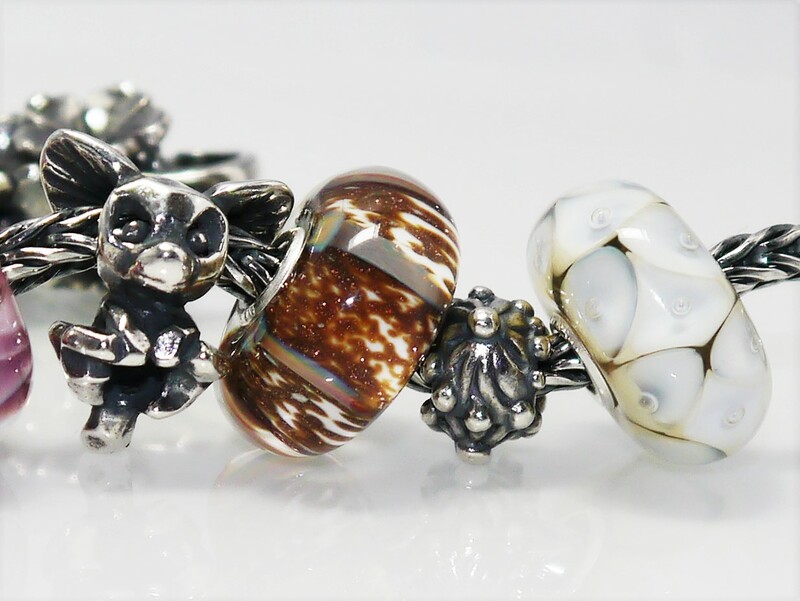 Trollbeads Autumn Collection ‘Spirit of Life’ launches tomorrow, September 9th. 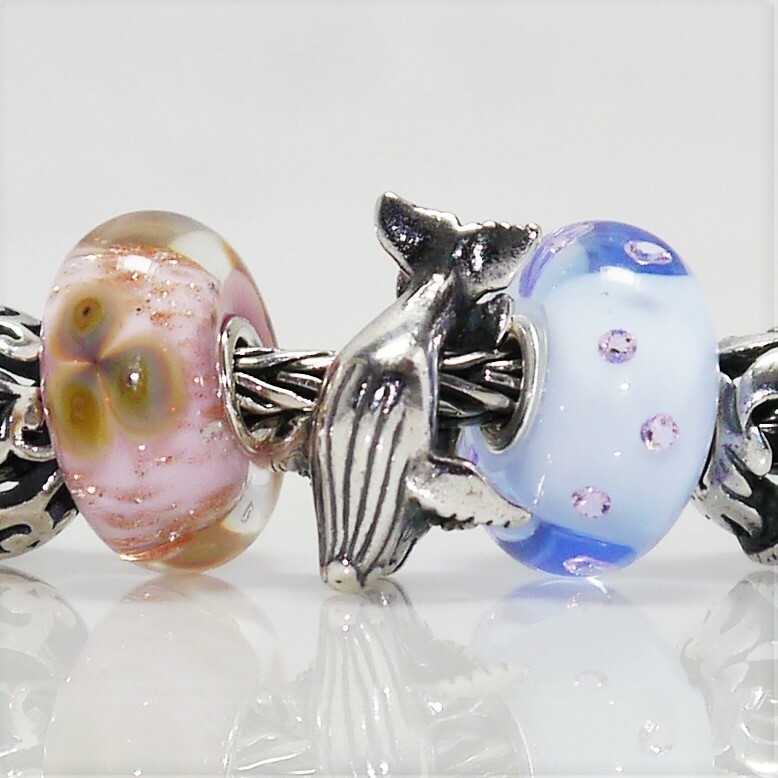 Following my last post Trollbeads Autumn Collection Preview, which gave a sneek preview and review of some of the pieces, this post gives details of the full collection. 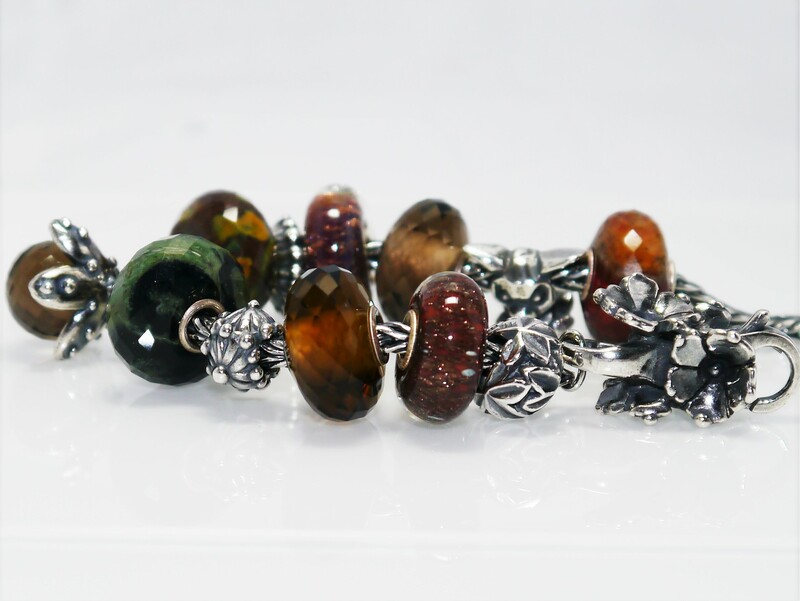 The collection comprises of 2 new bangles, 10 silver beads, 1 glass kit, 2 new stones, 2 faceted glass tassels, 1 new lock and matching earrings and 1 ring. 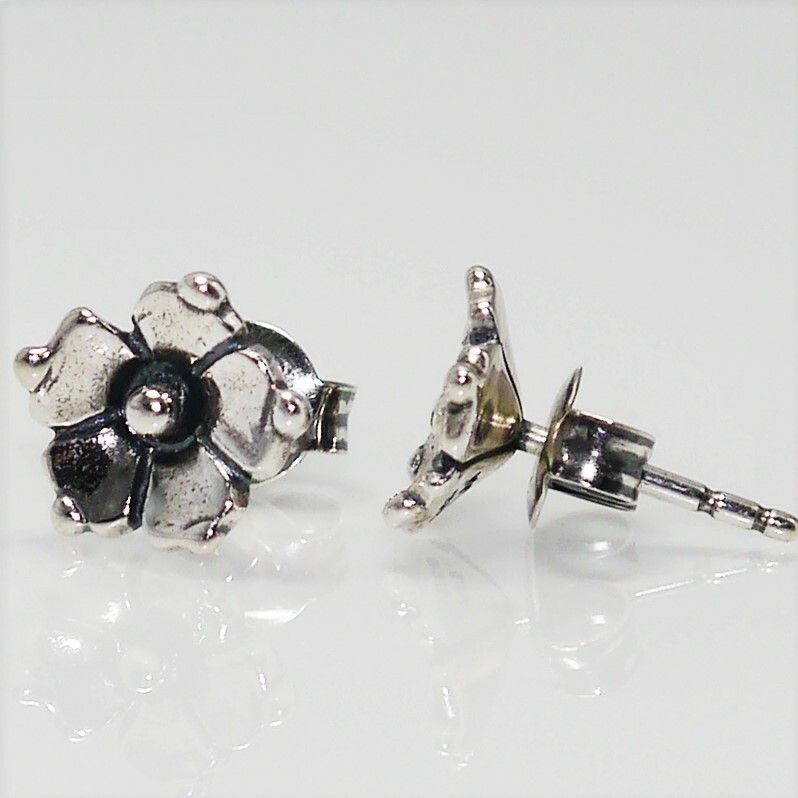 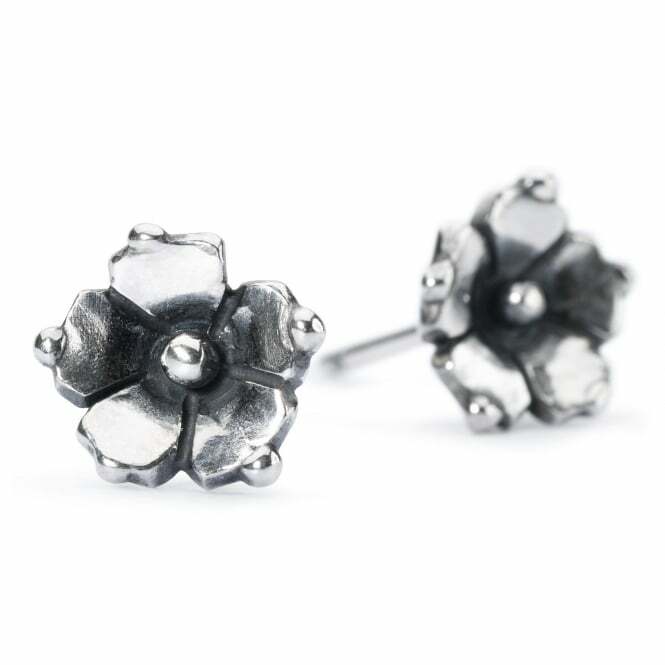 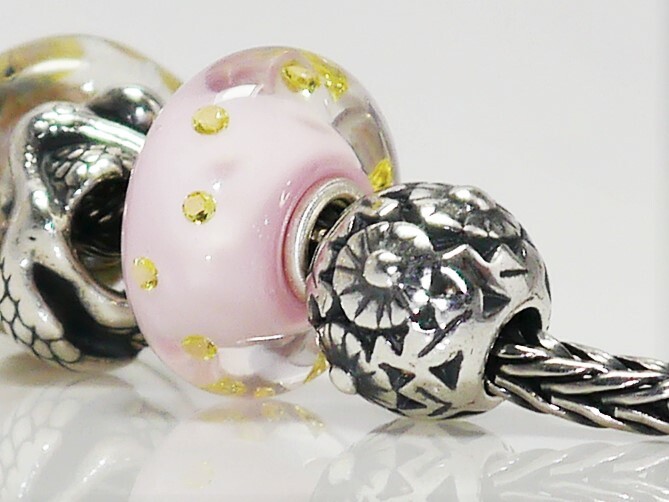 The Carolina Jessamine Lock and Studs are so pretty, I have been wearing them non stop since they arrived when Trollbeads kindly sent me some of the collection to review at the start of August. 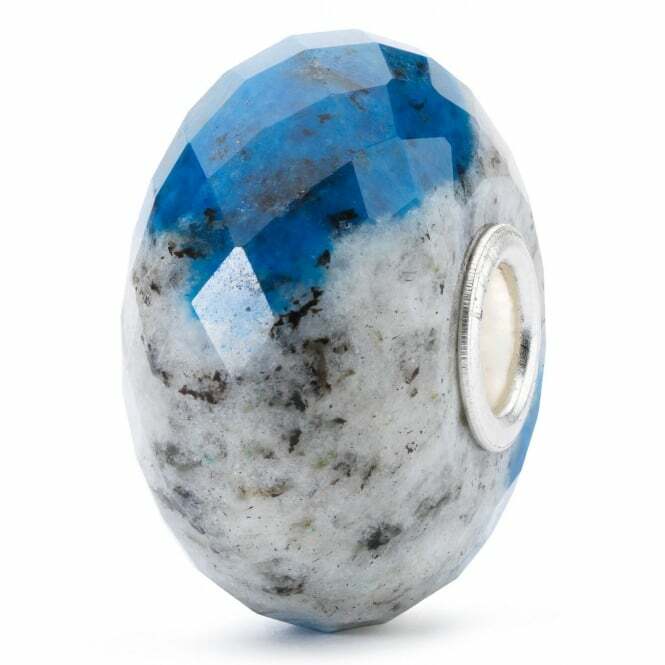 I am particularly keen to see the Feldspar Azurite Rock in real life as I suspect there will be quite a lot of variation in these, as with the Ruby Rock. 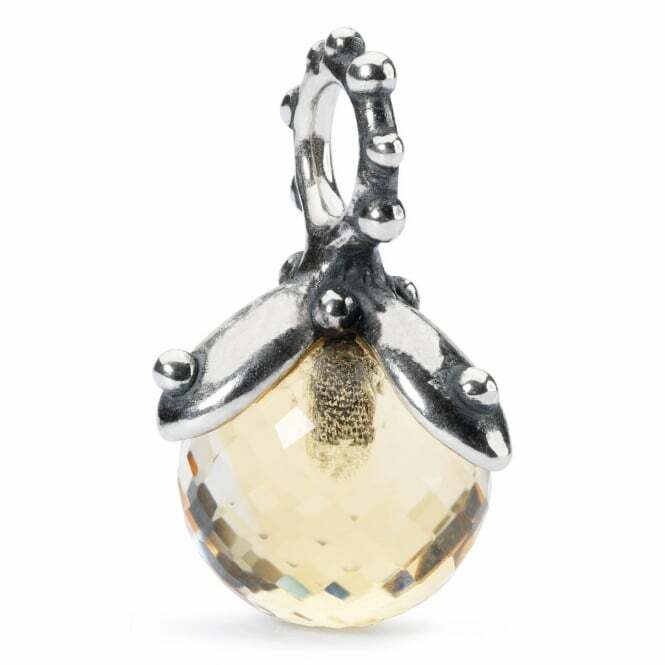 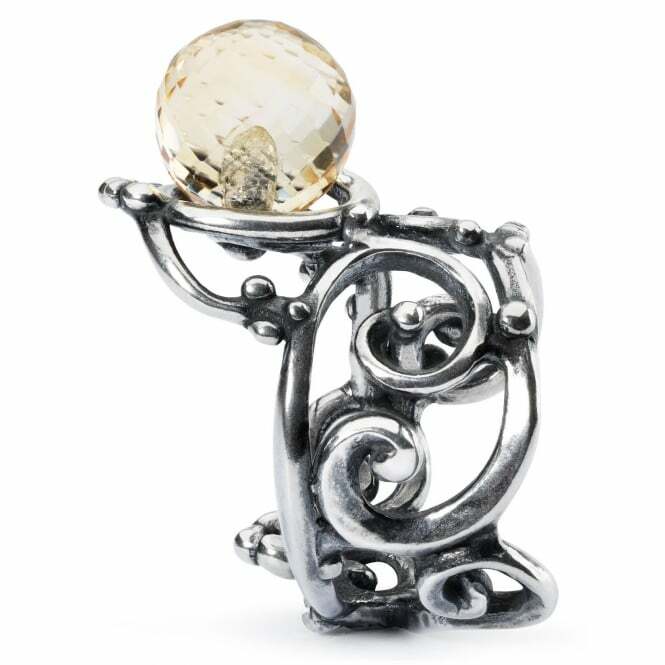 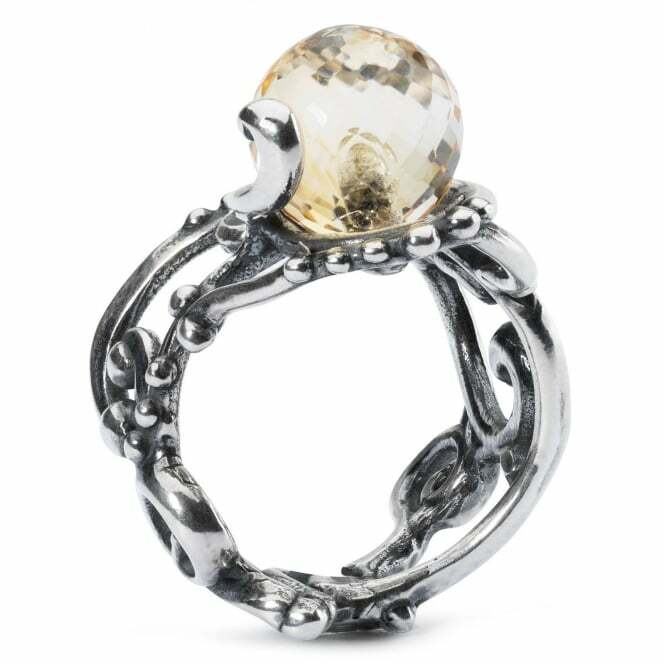 I absolutely adore the citrine pieces, though they are quite expensive. 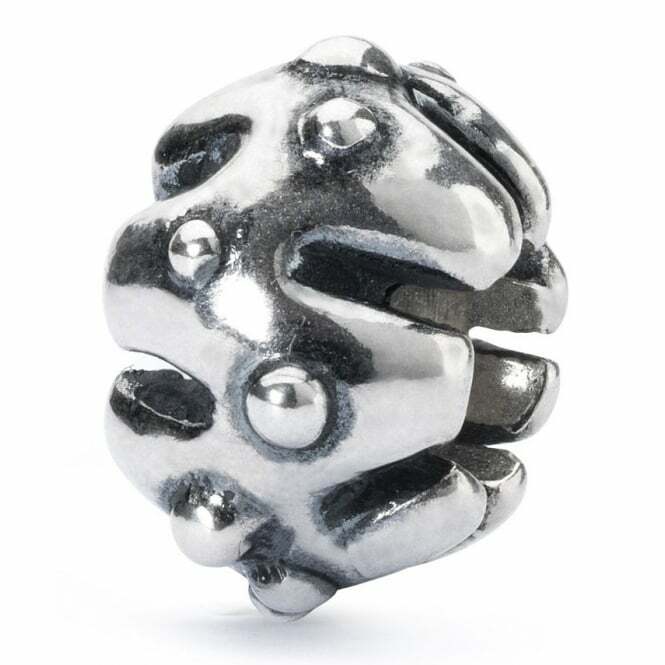 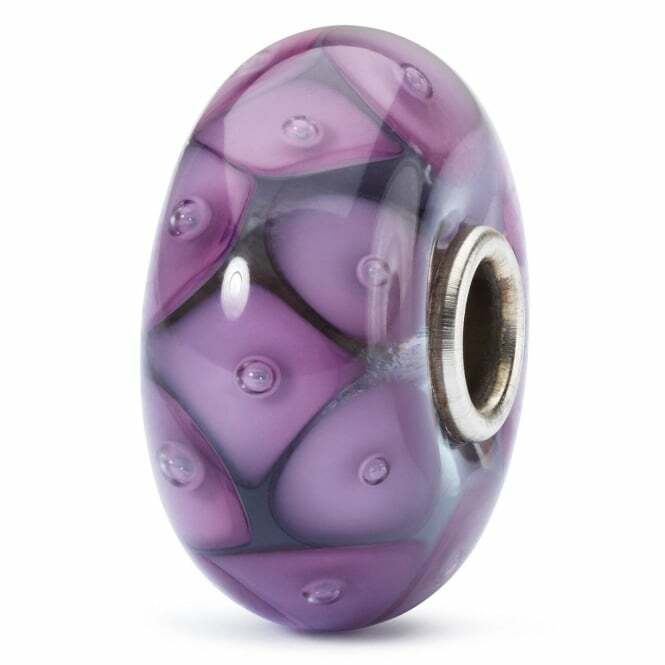 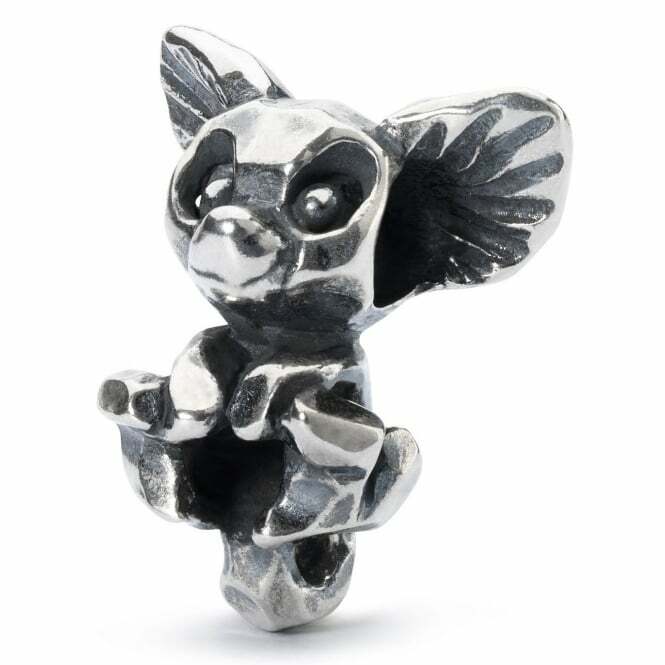 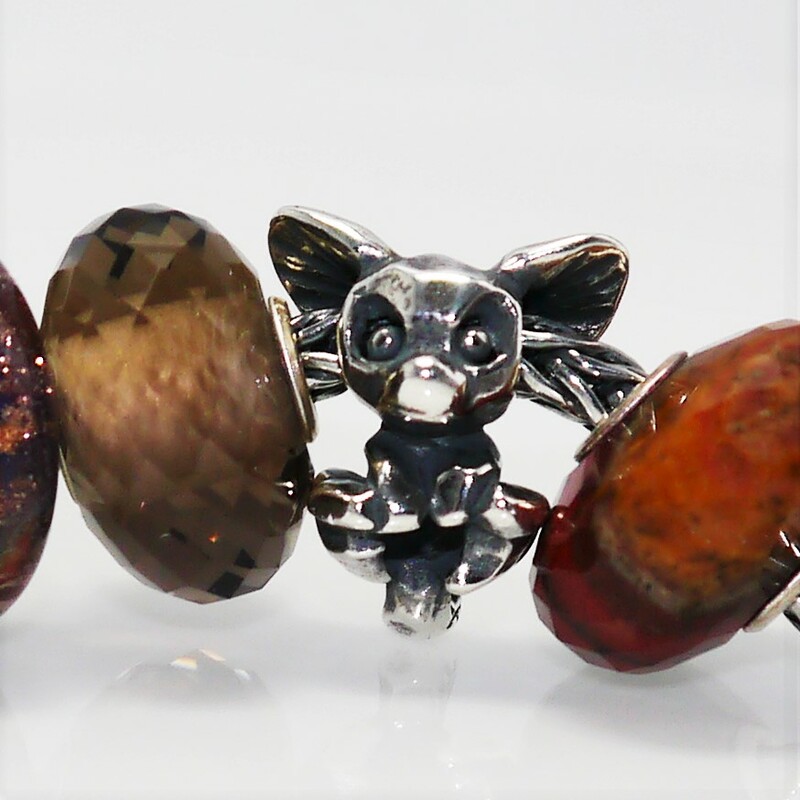 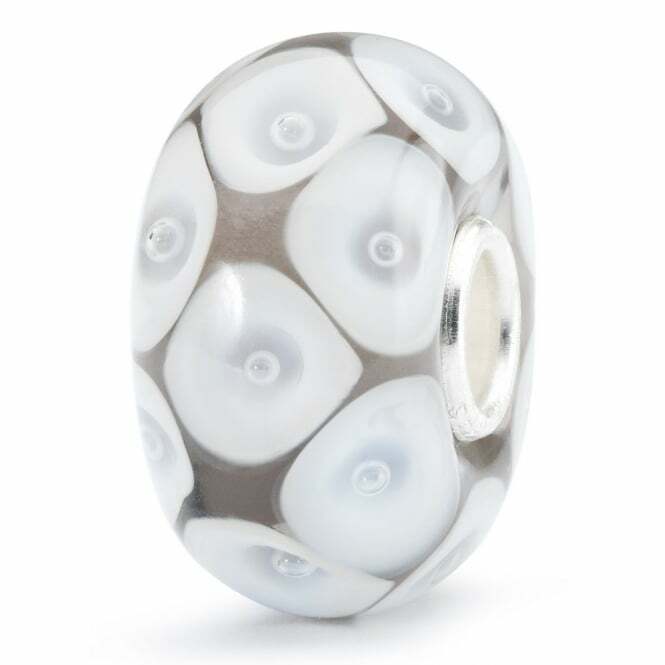 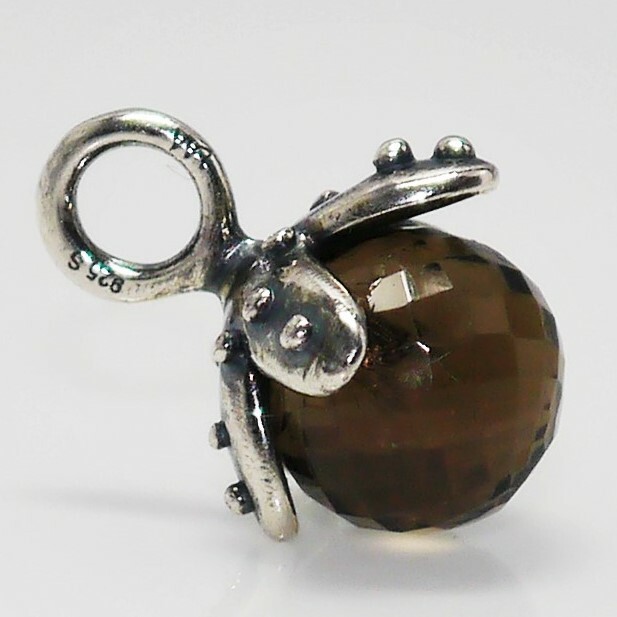 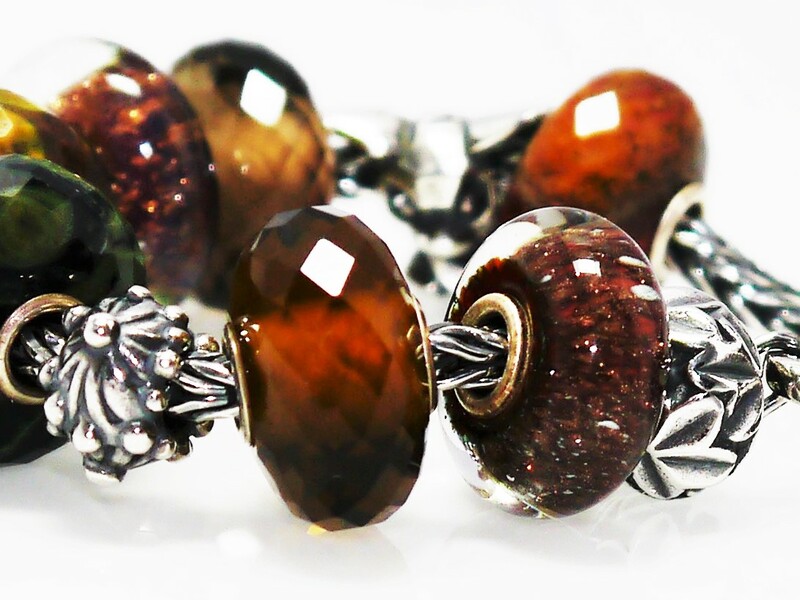 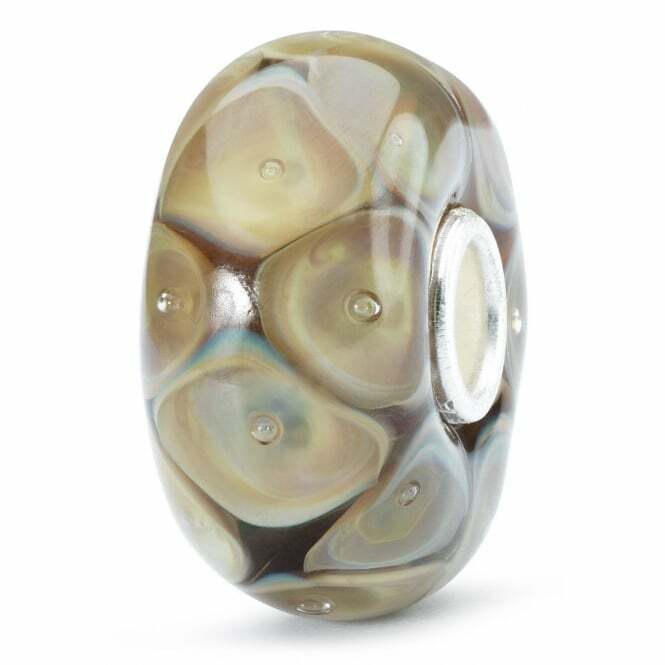 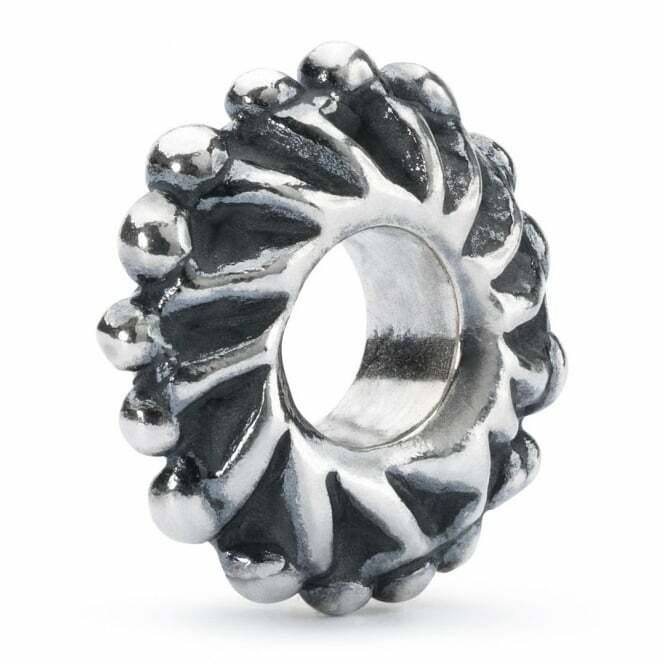 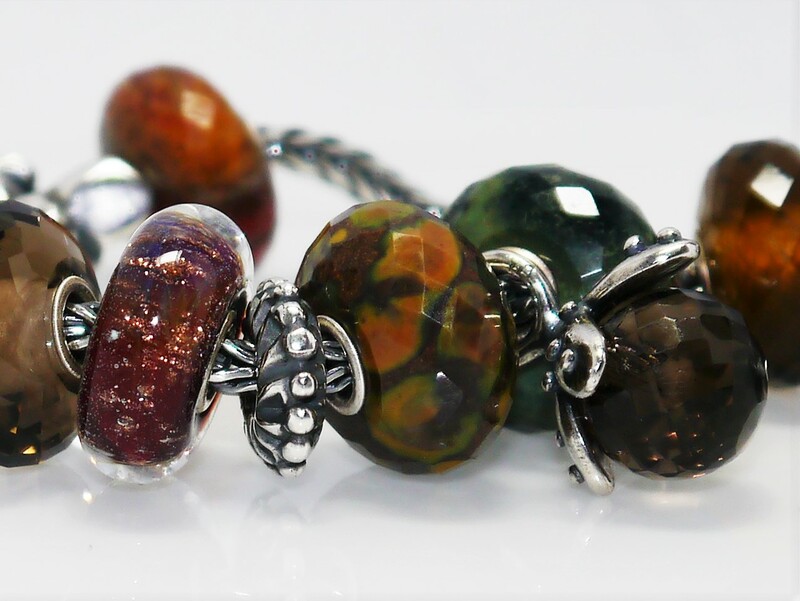 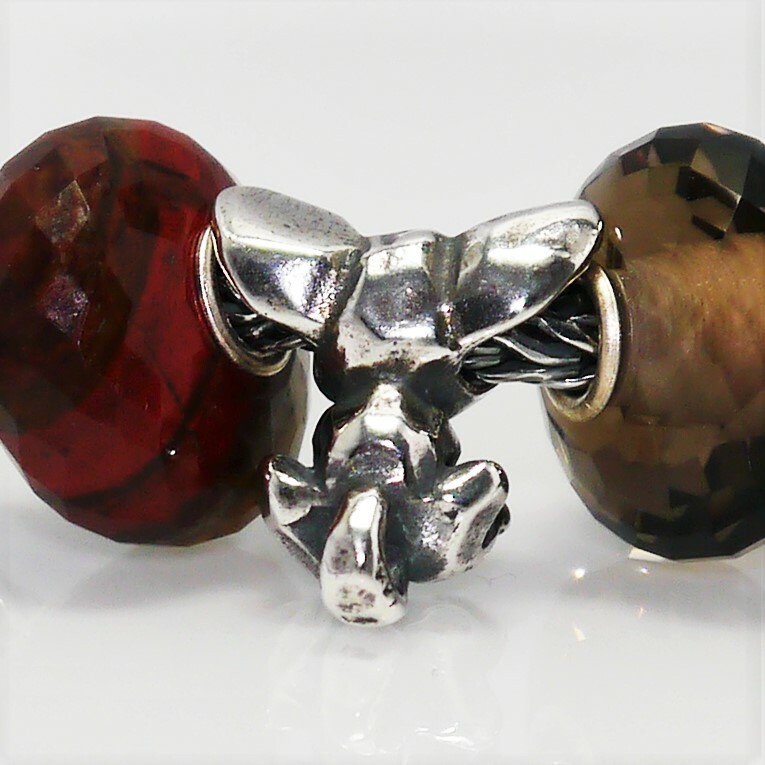 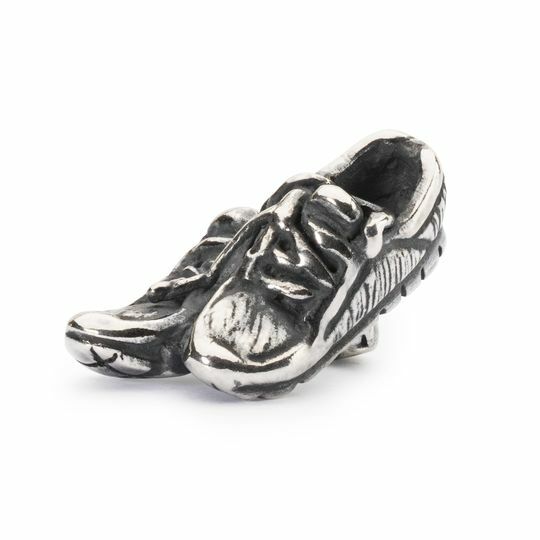 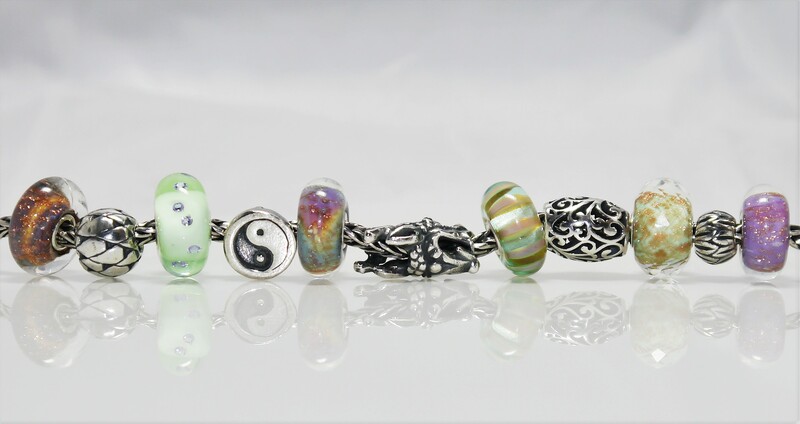 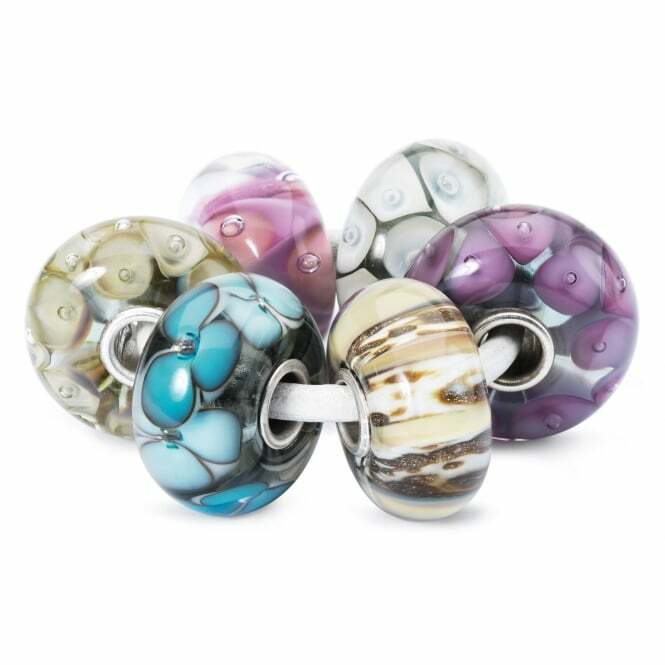 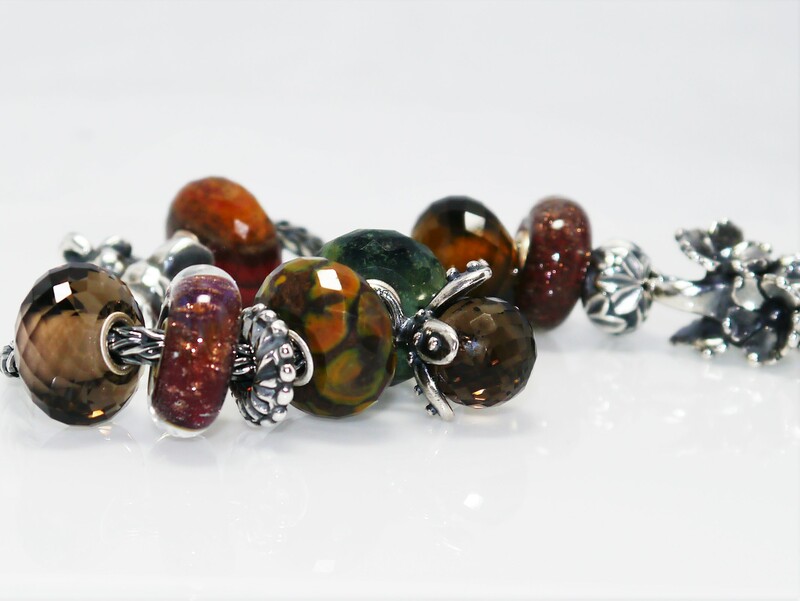 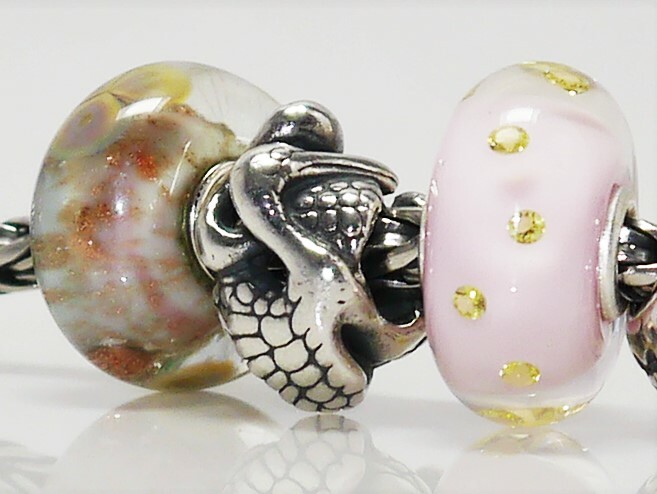 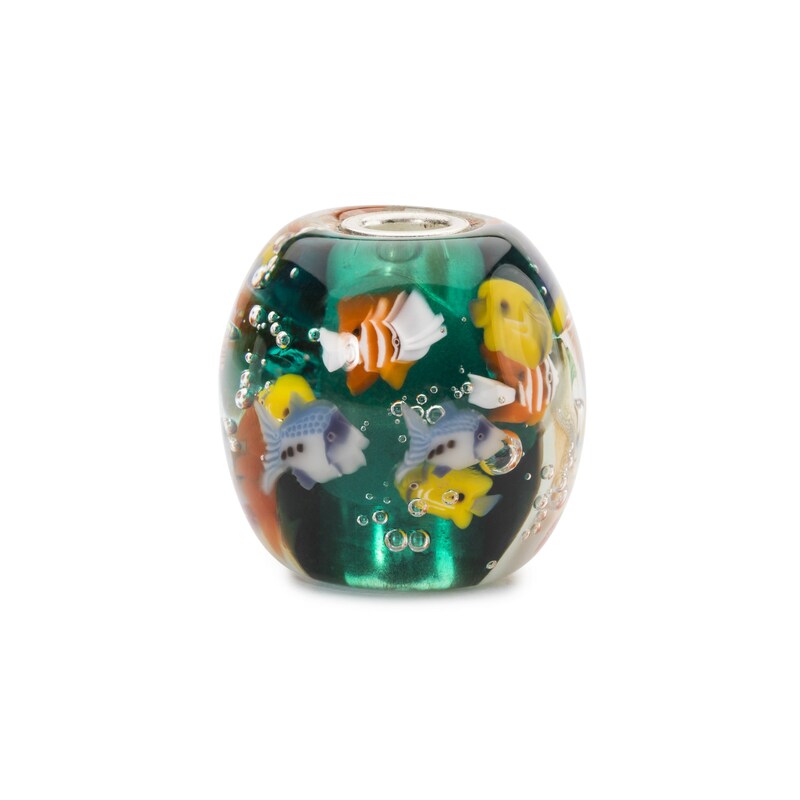 Hard to believe that the next big release from Trollbeads will be their Christmas Collection! 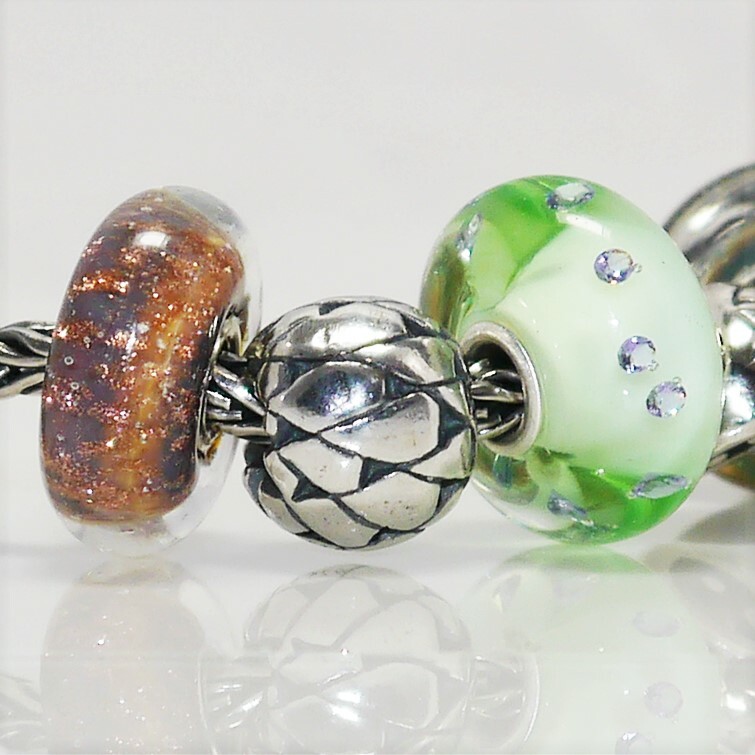 The release of this years ‘People’s Bead’ coincides with the Autumn collection release date, 9th September 2016. 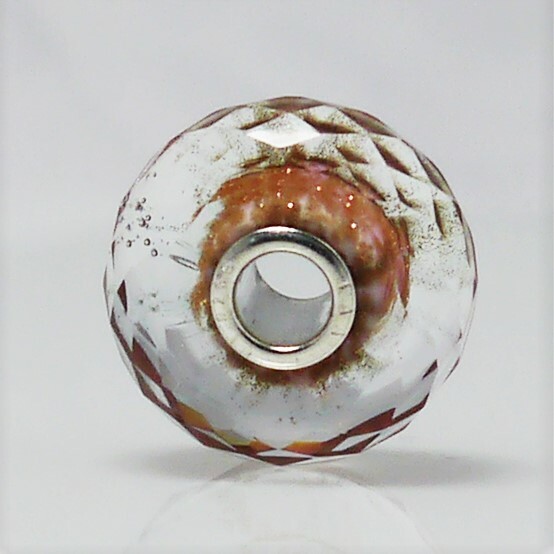 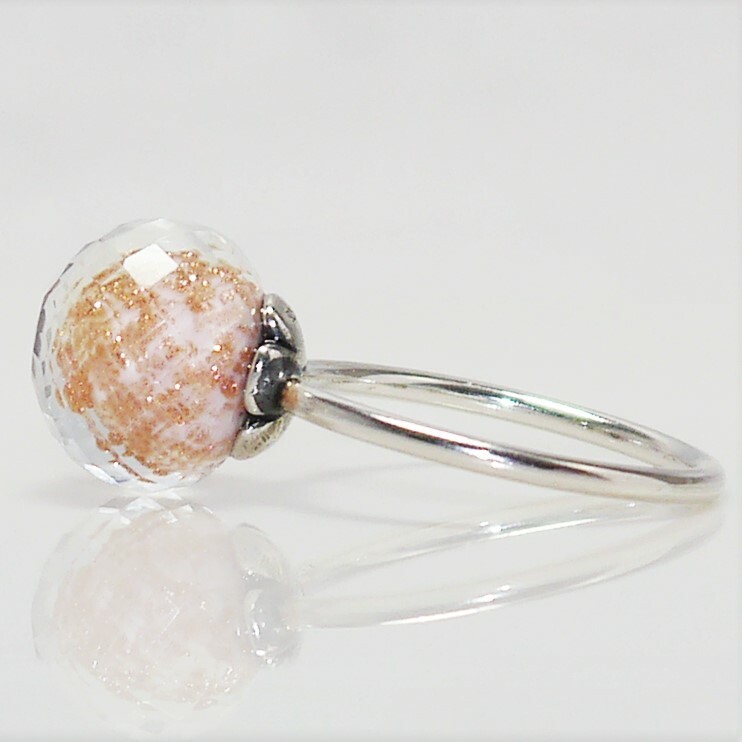 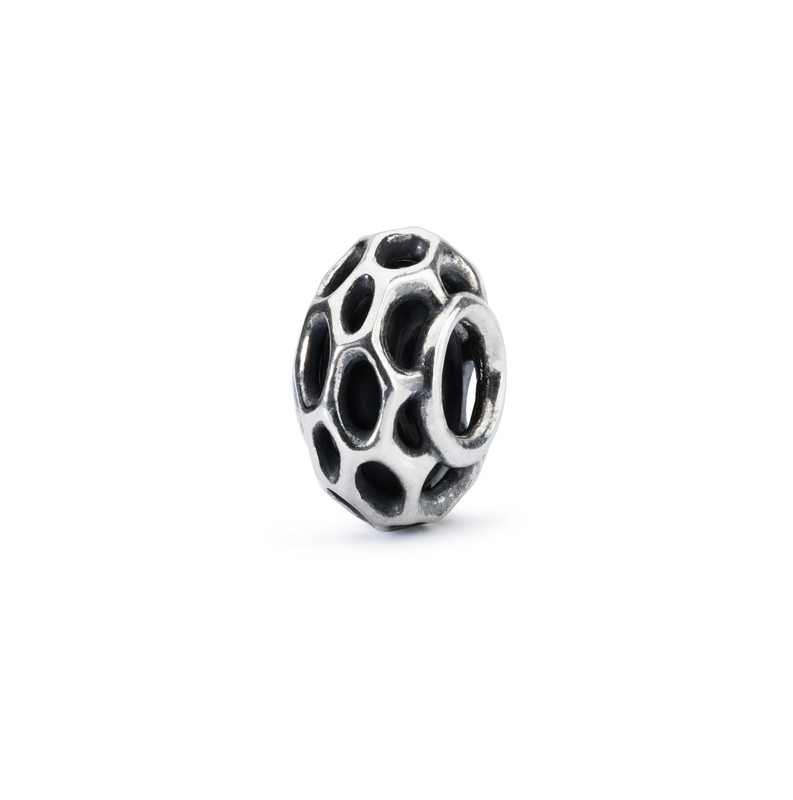 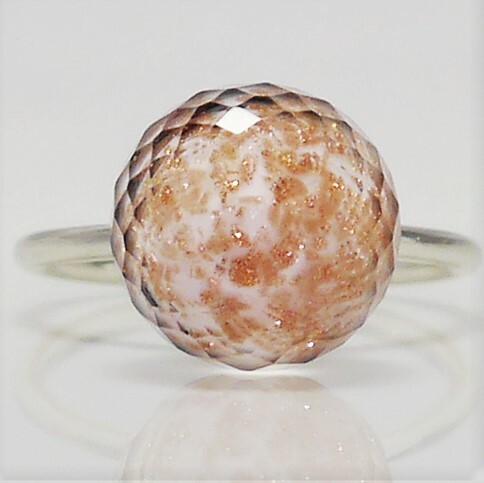 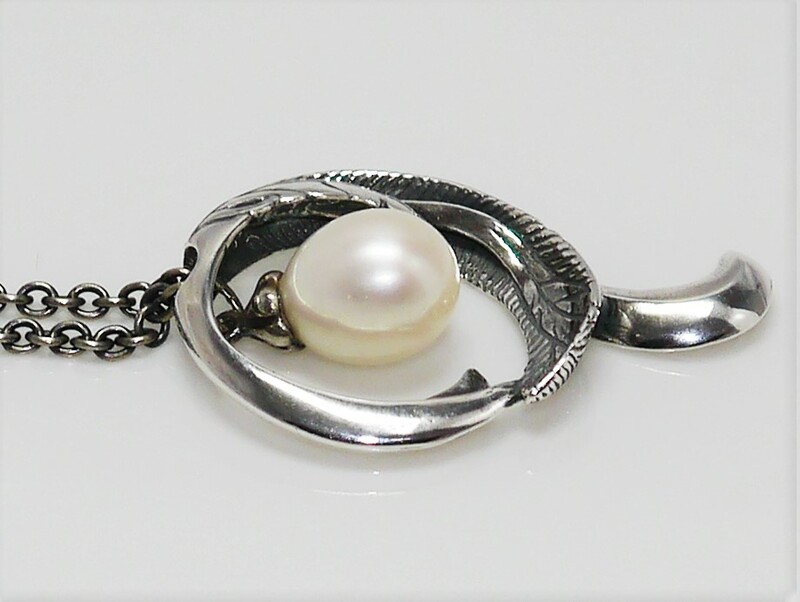 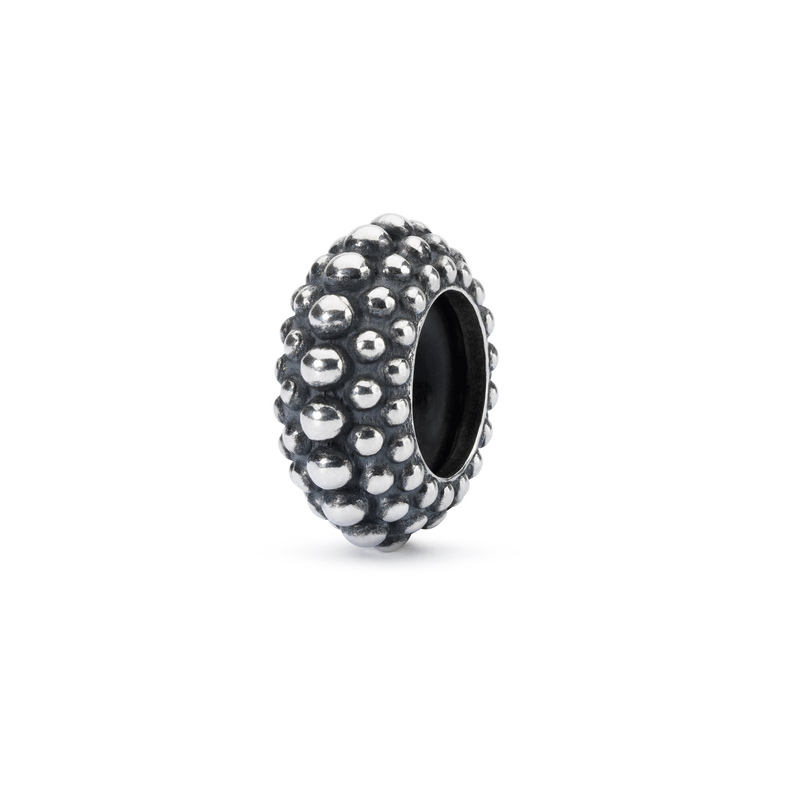 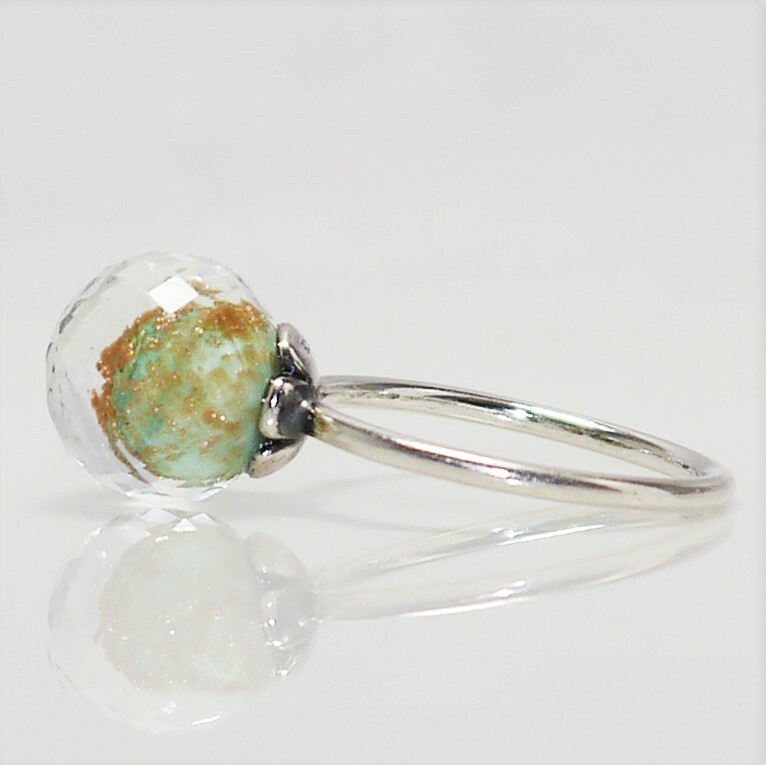 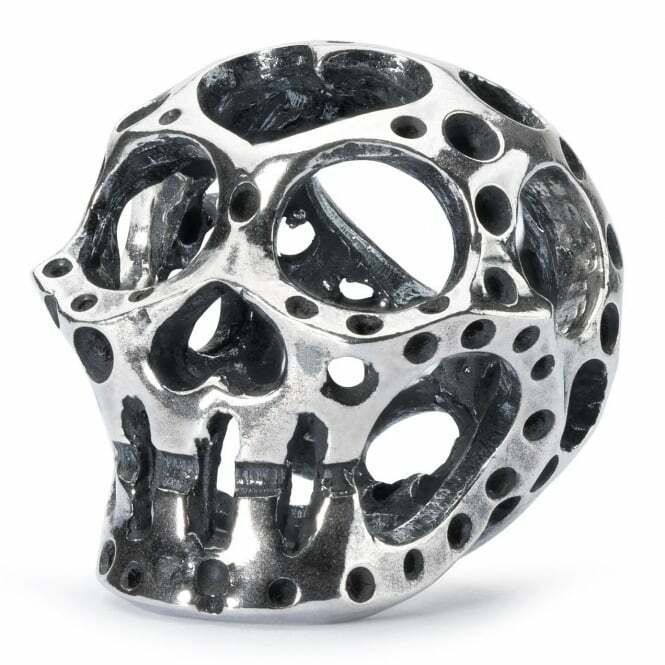 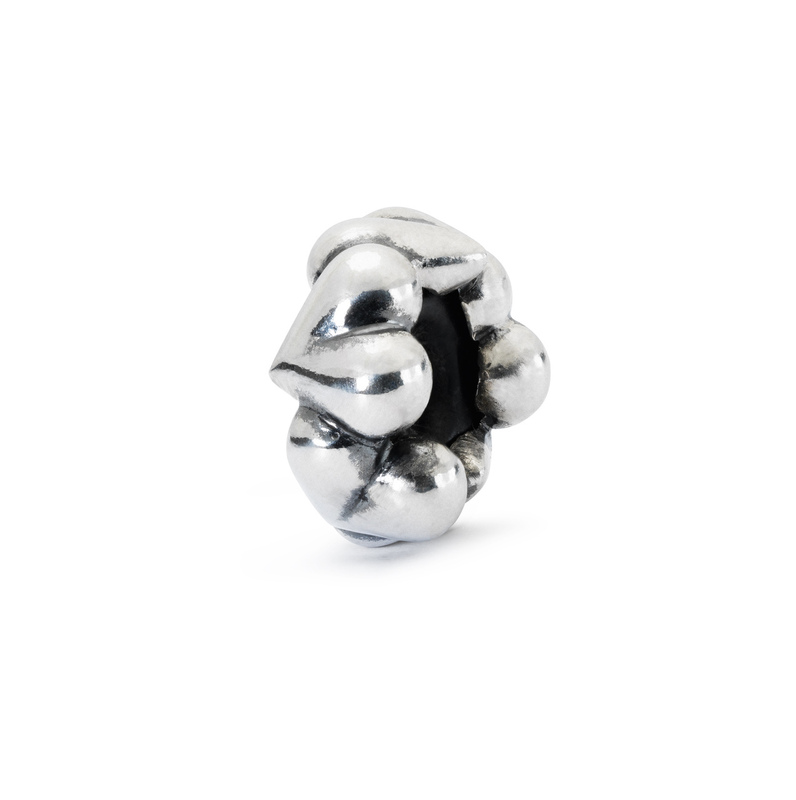 Designed by Guiseppe Di Meo from Italy, the bead is called ‘Celebrate Life’. 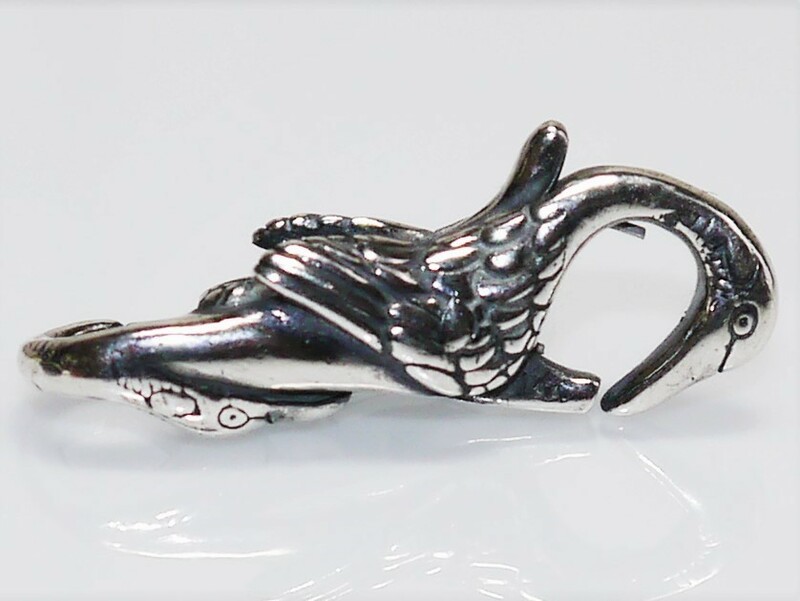 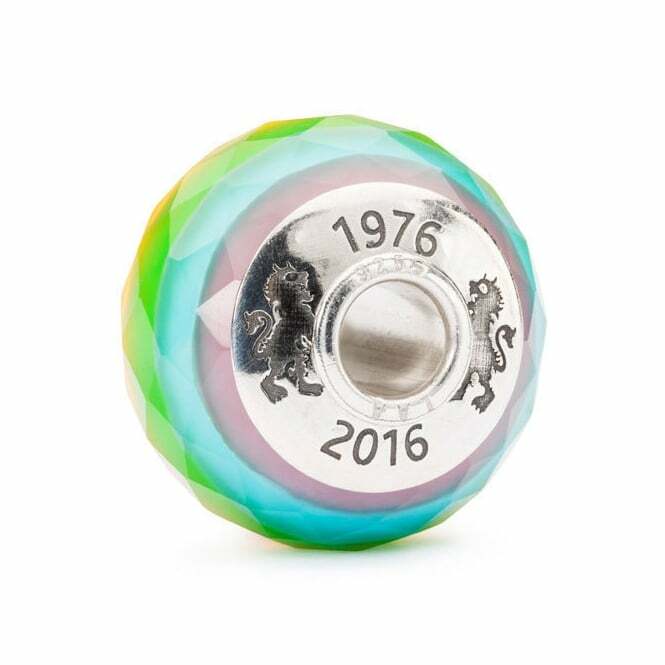 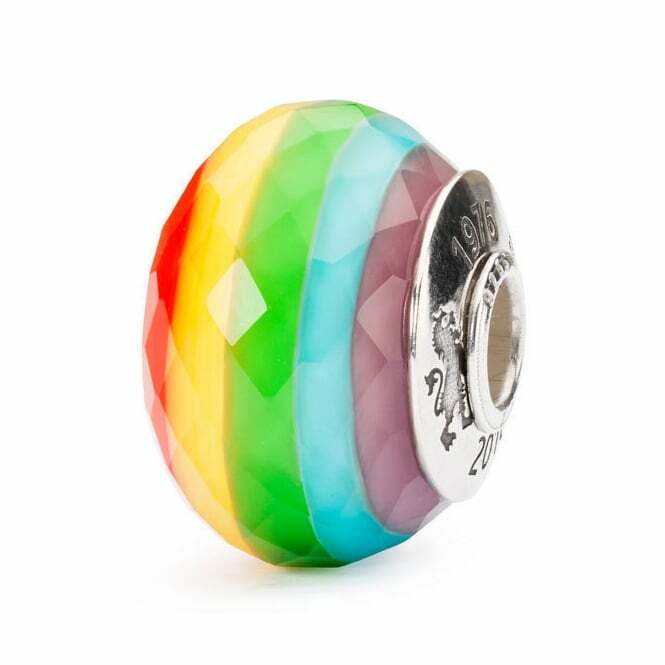 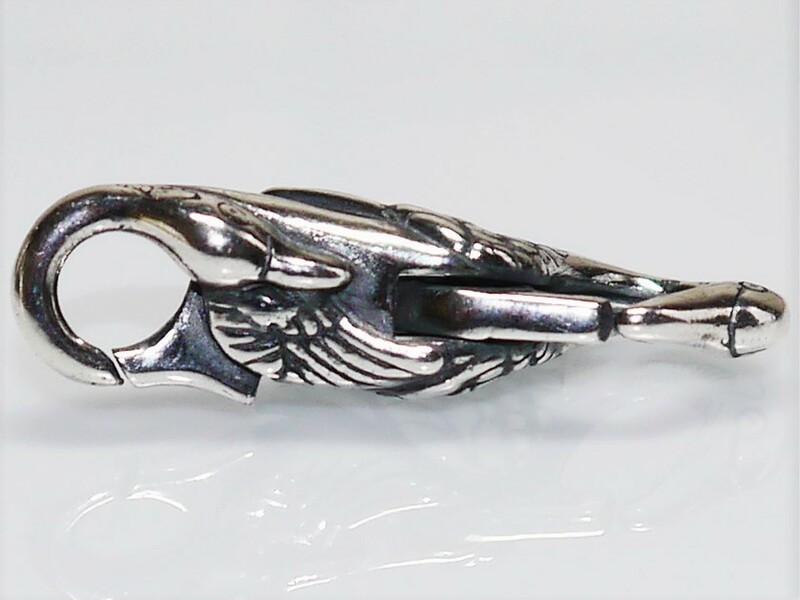 There is a large engraved core only on one side, with the nice addition of the Trollbeads Trolls and the years 1976 and 2016 engraved on it. 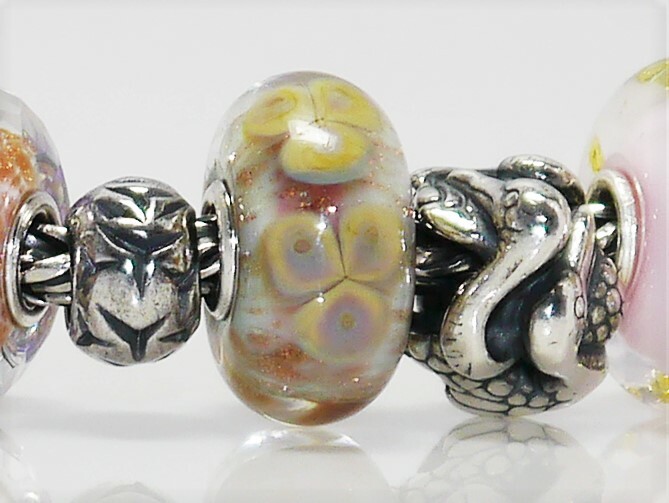 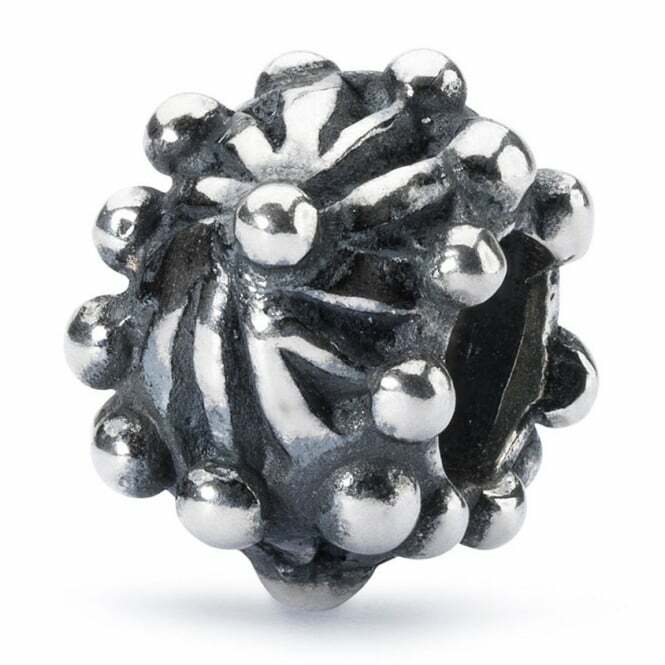 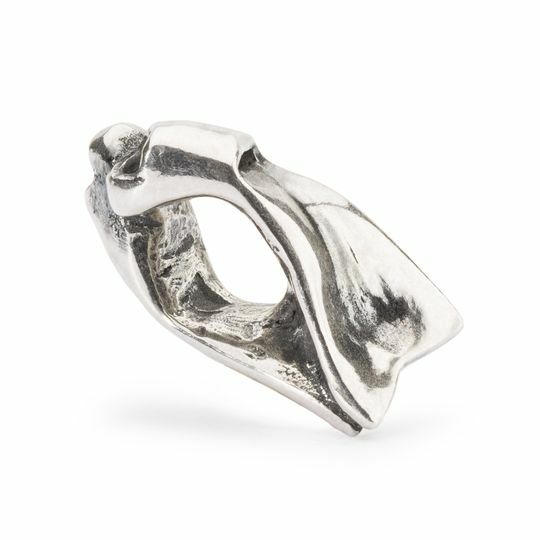 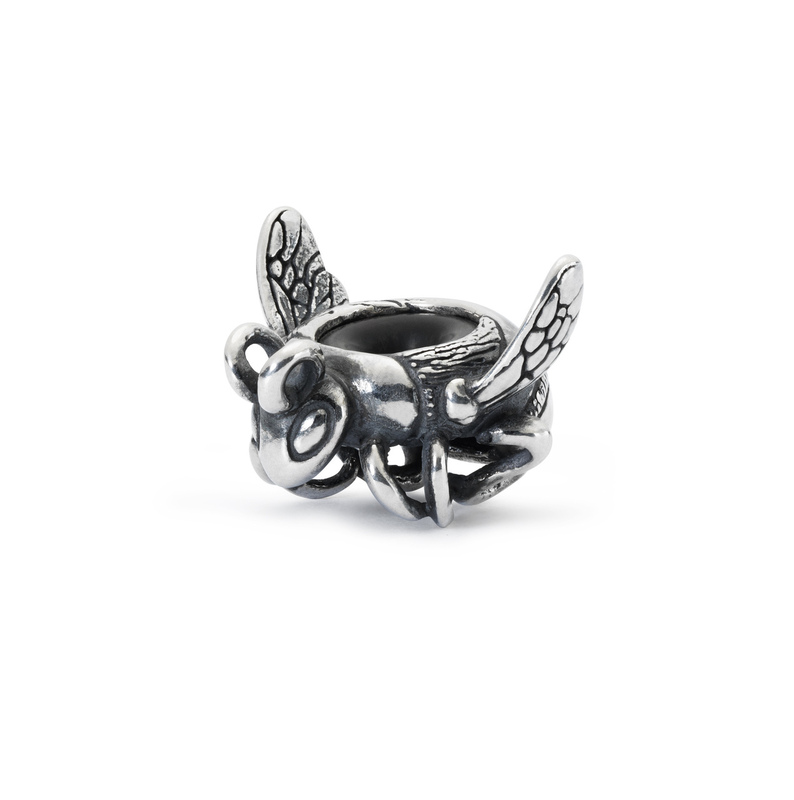 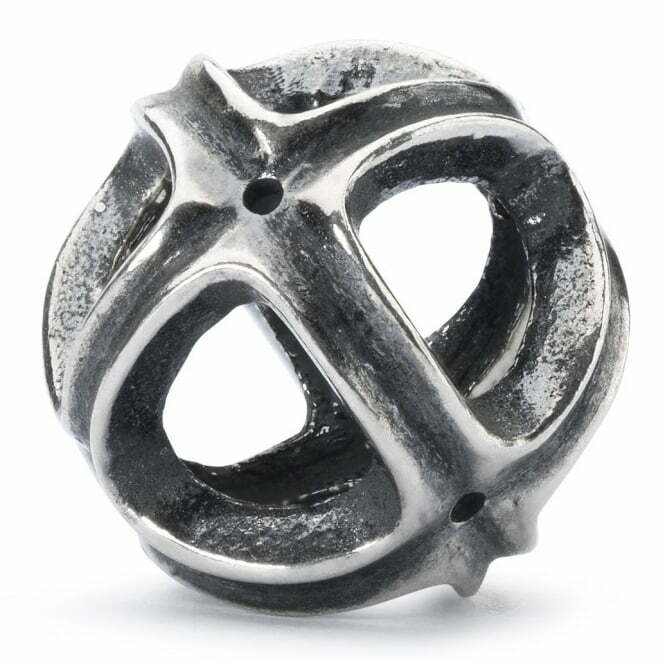 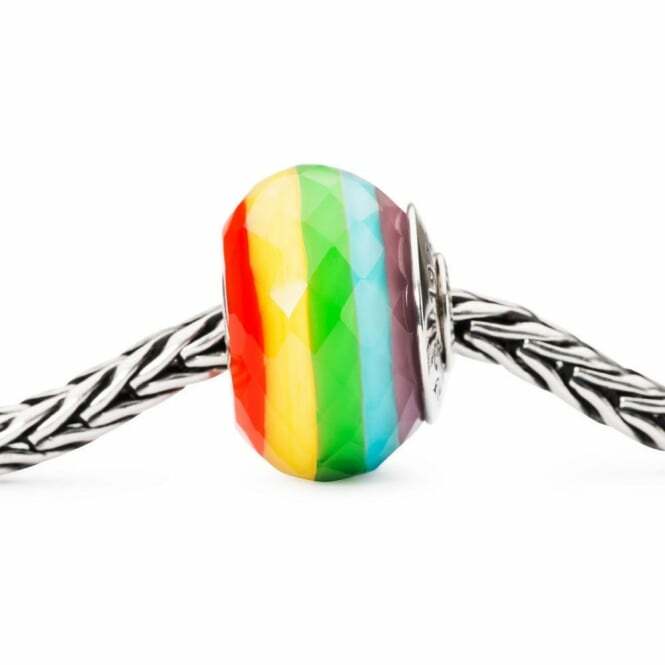 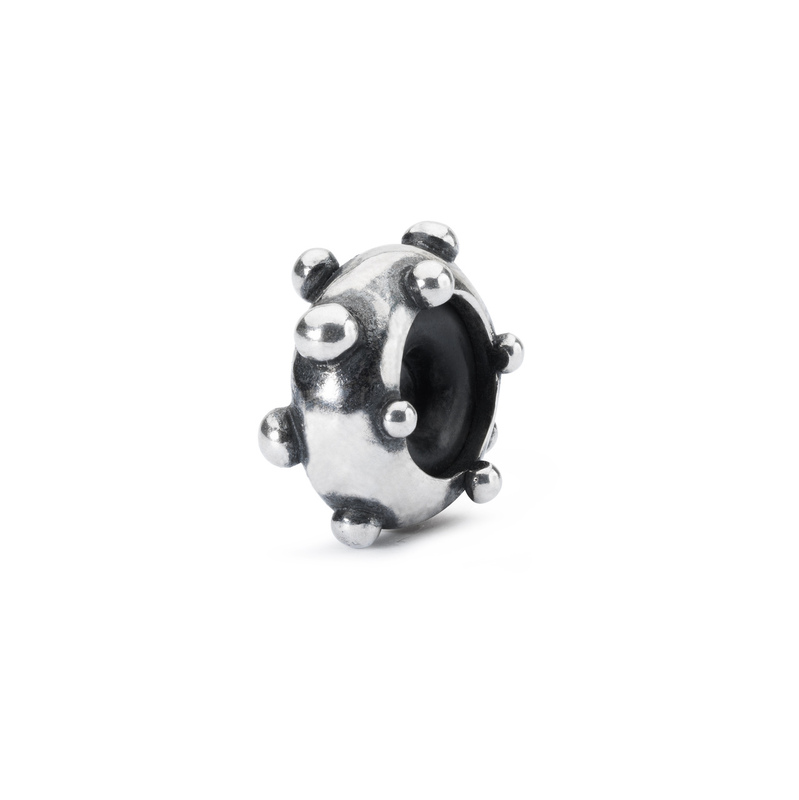 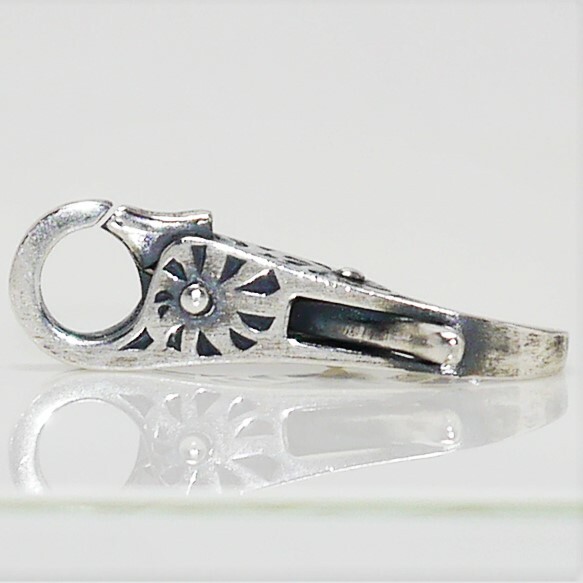 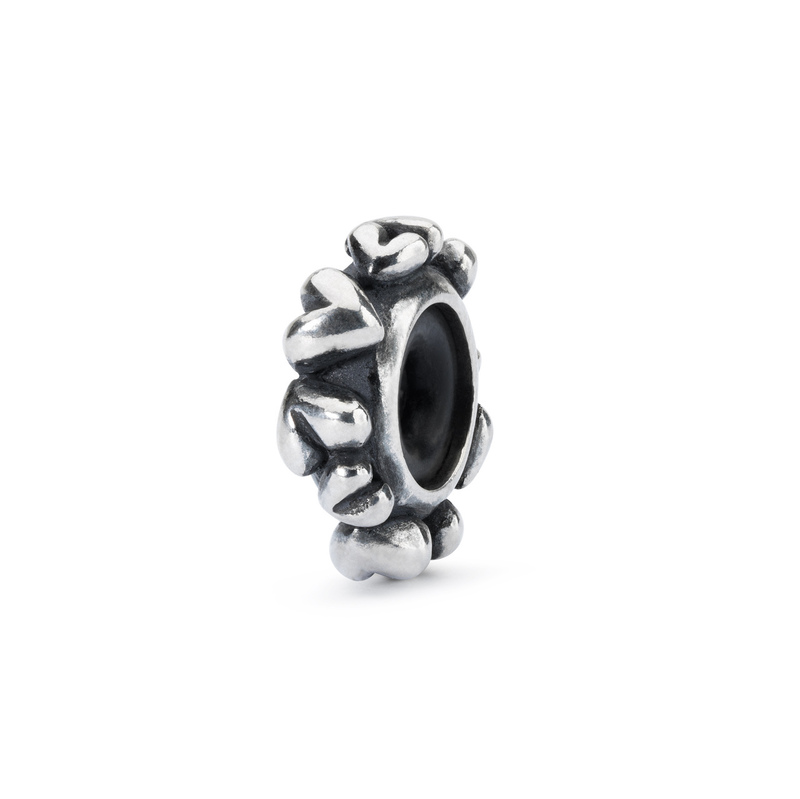 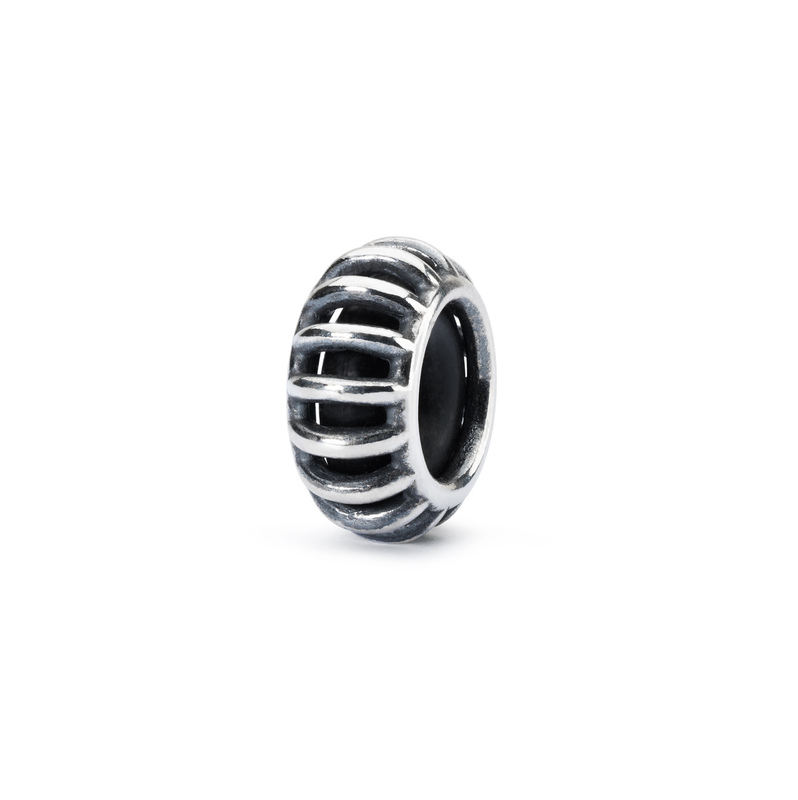 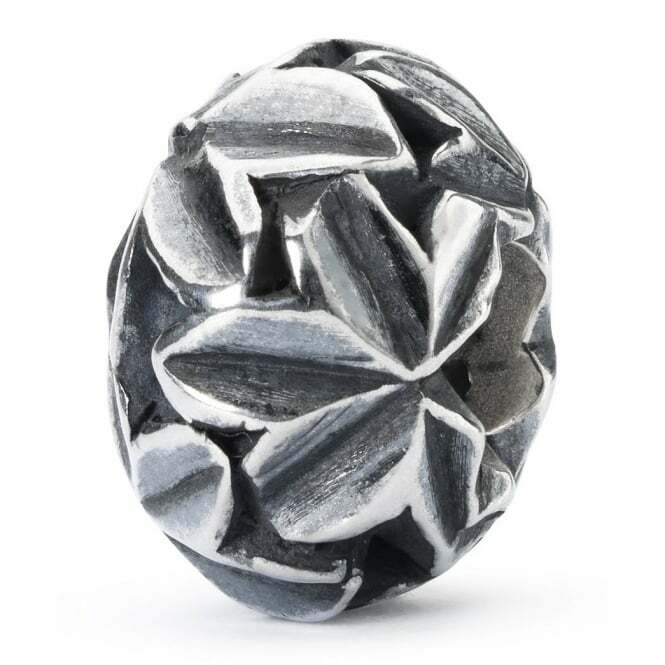 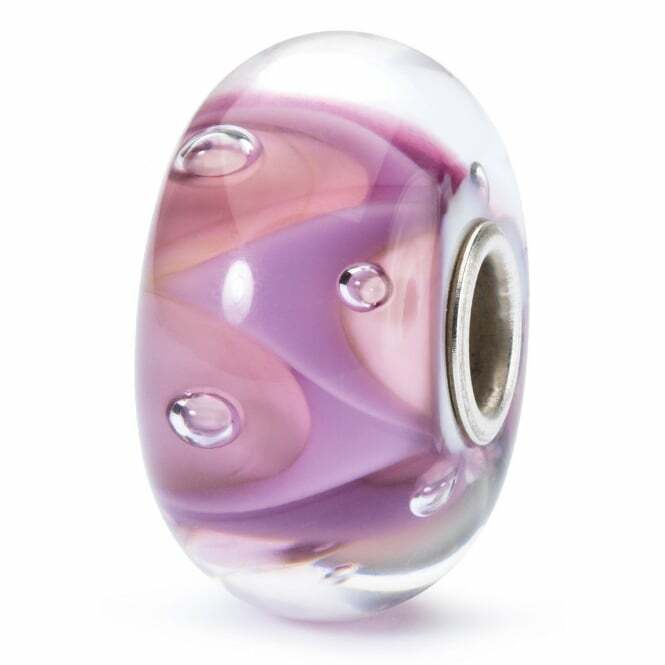 The fact that it only sports this core on one side will no doubt create divided opinion within the Trollbeads community. 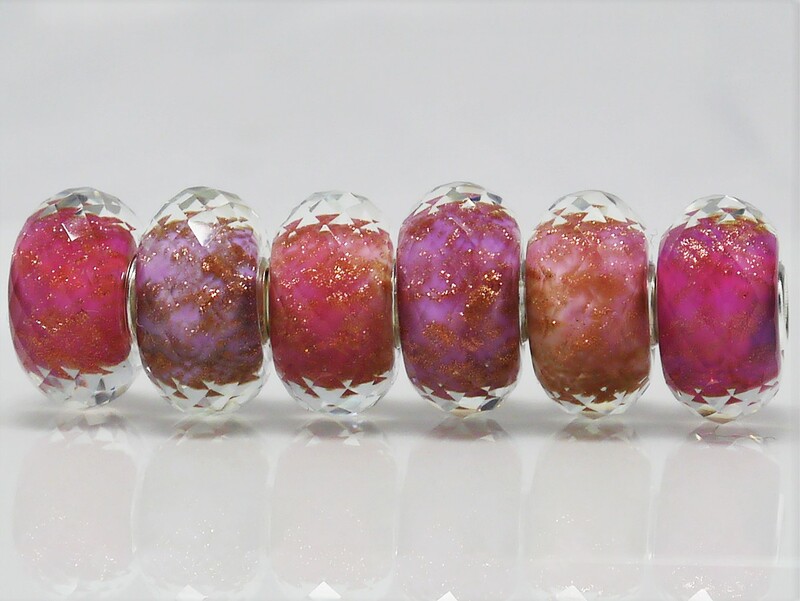 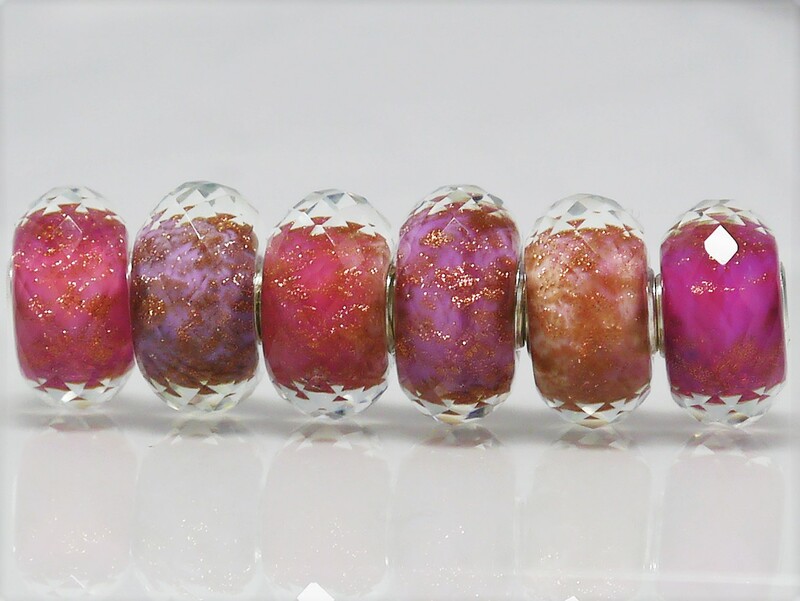 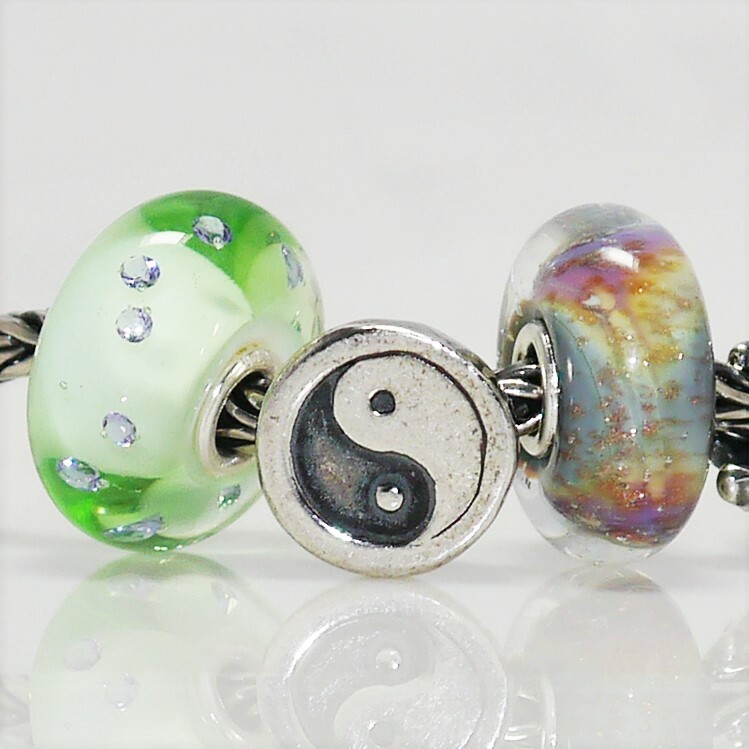 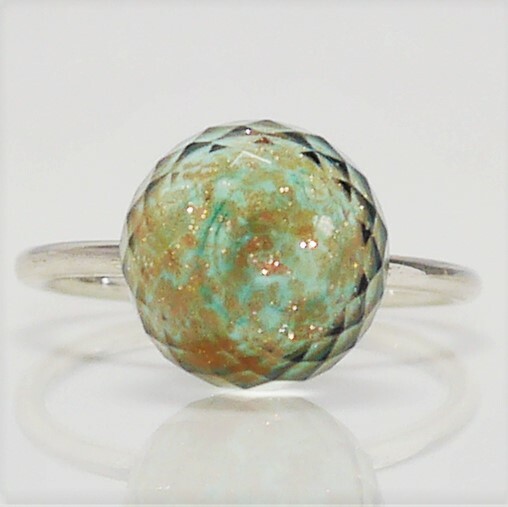 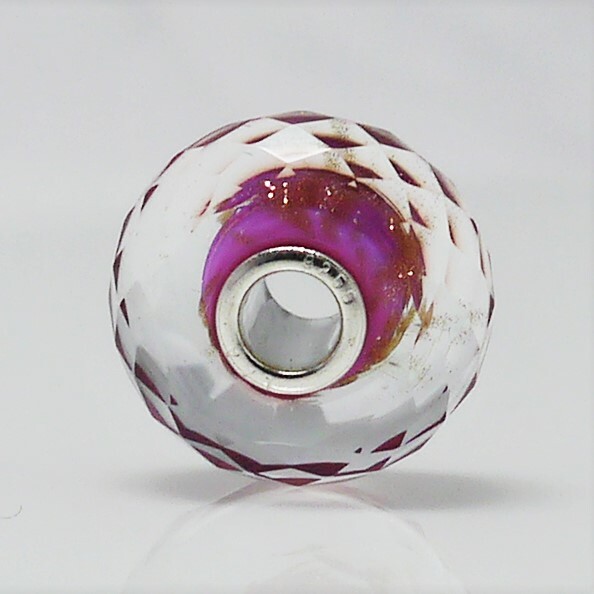 This is a lovely vibrant bead and would be ideal on a Chakra themed bracelet. 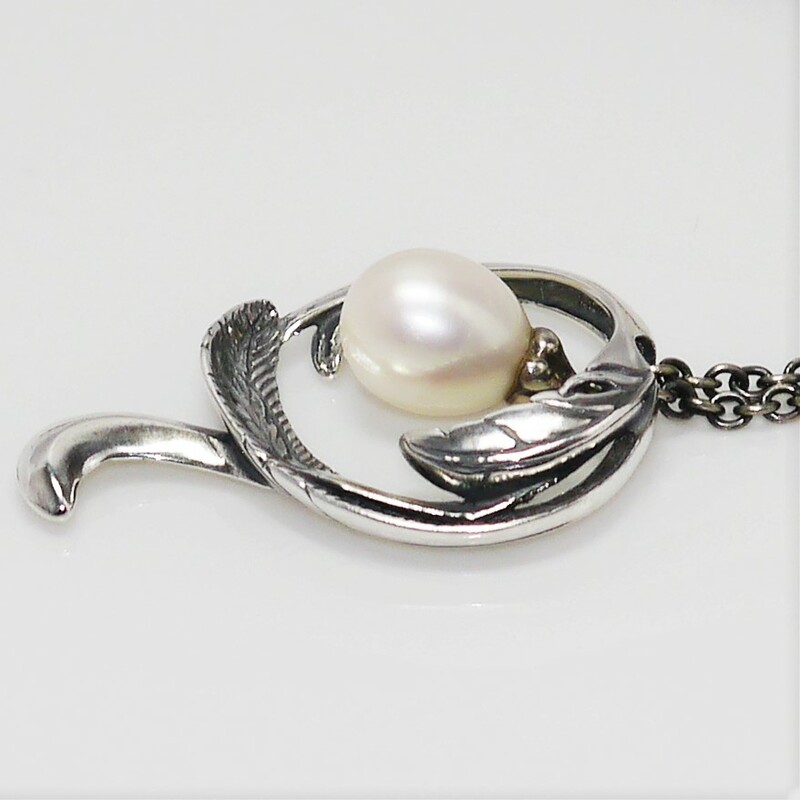 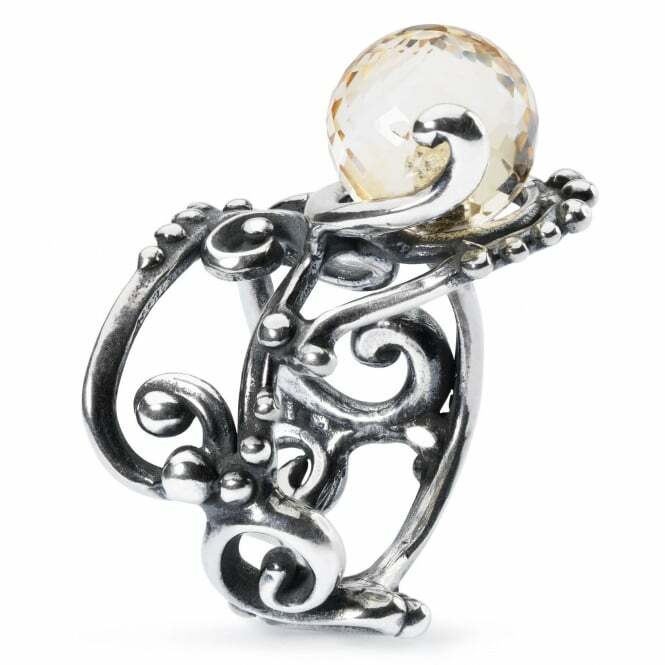 I also suspect it would look very striking on a Fantasy Necklace, particularly with the Tree of Awareness Fantasy Pendant sat on top of it. 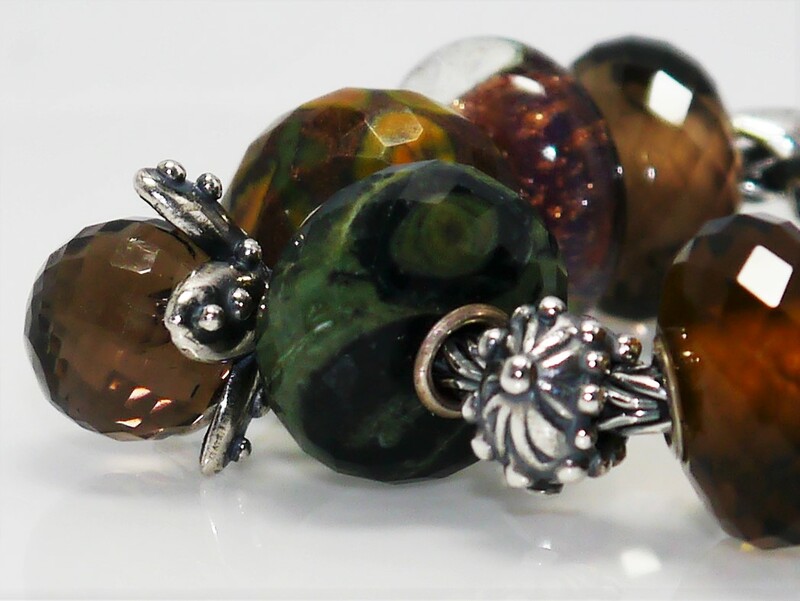 A couple of weeks ago I received a very special package from Trollbeads which included a sample of the Autumn 2016 collection. 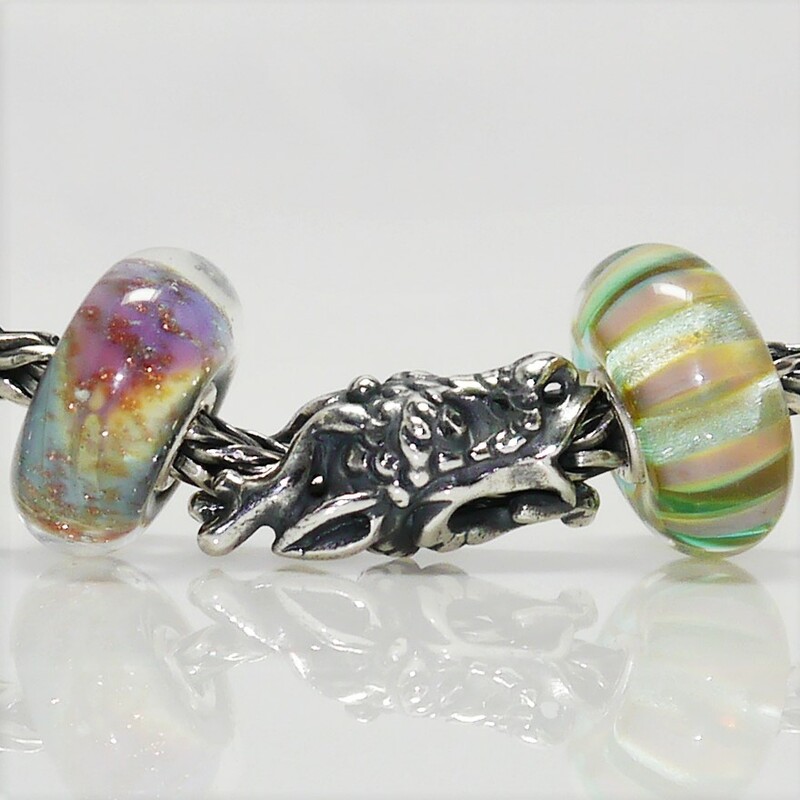 Firstly, and before I go any further, I want to say a big thank you to Trollbeads for giving me the privilege of receiving these beads from them and getting the opportunity to review them before they are officially released. 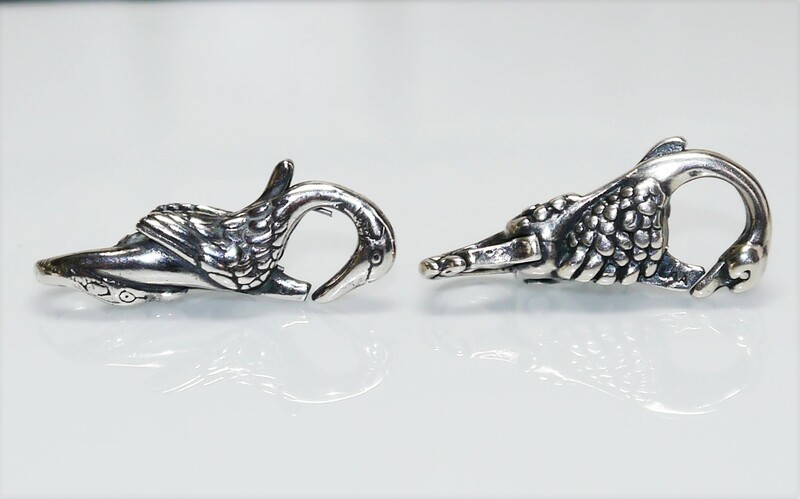 The new collection, “Spirit of Life”, will be officially released on 9th September. 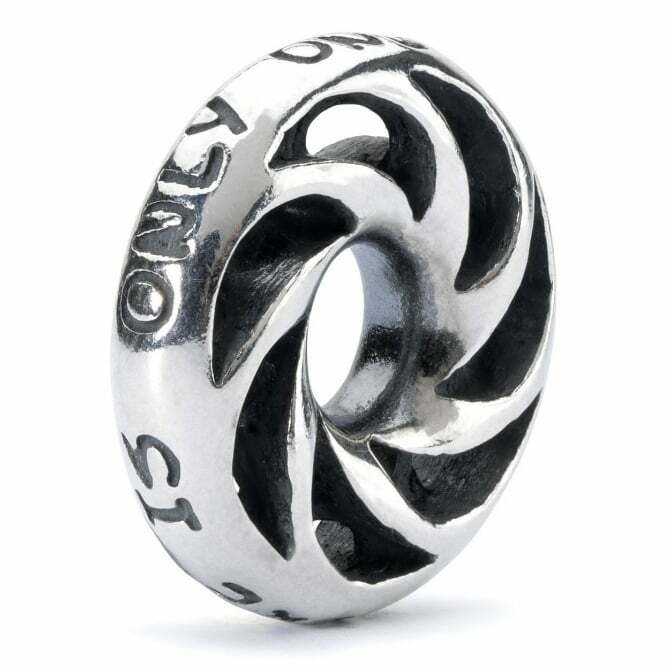 The inspiration comes from Mexican spirituality and is all about connecting people, making them feel empowered by unity and encouraging them to celebrate life and each other. 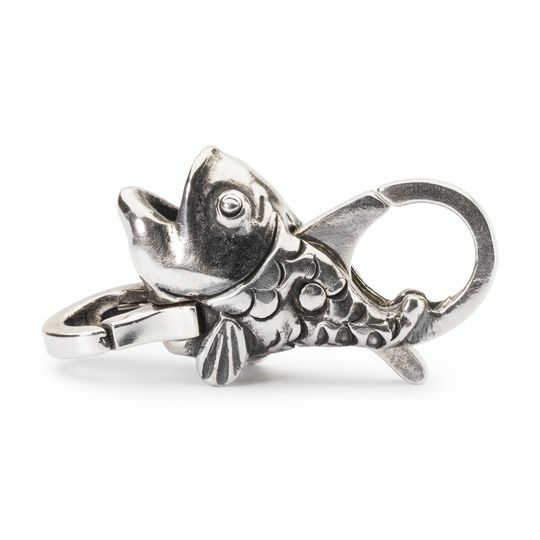 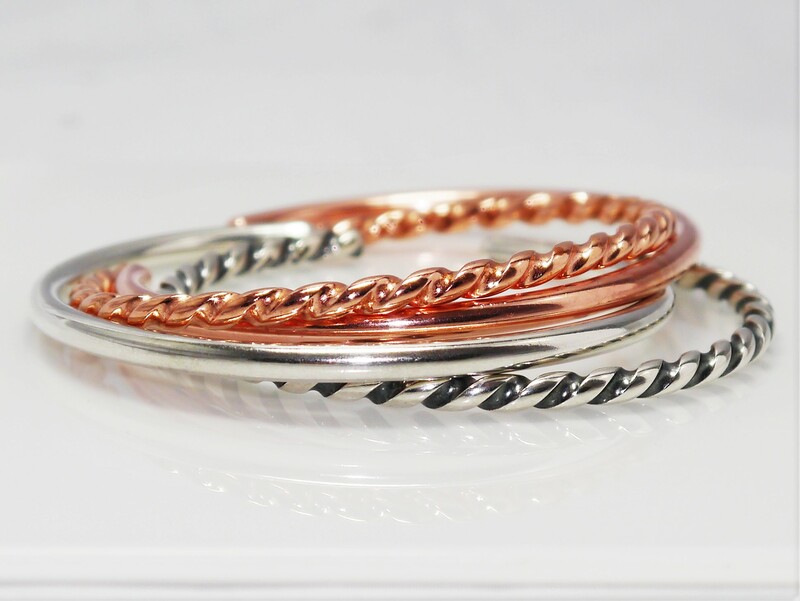 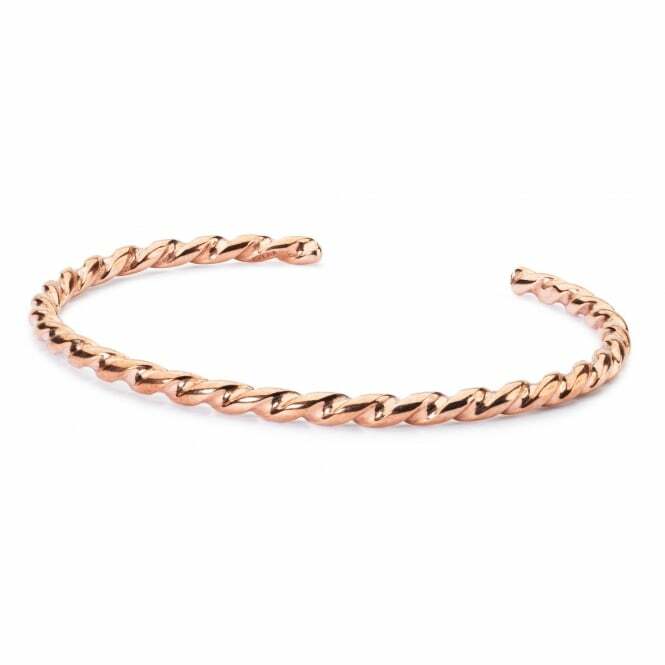 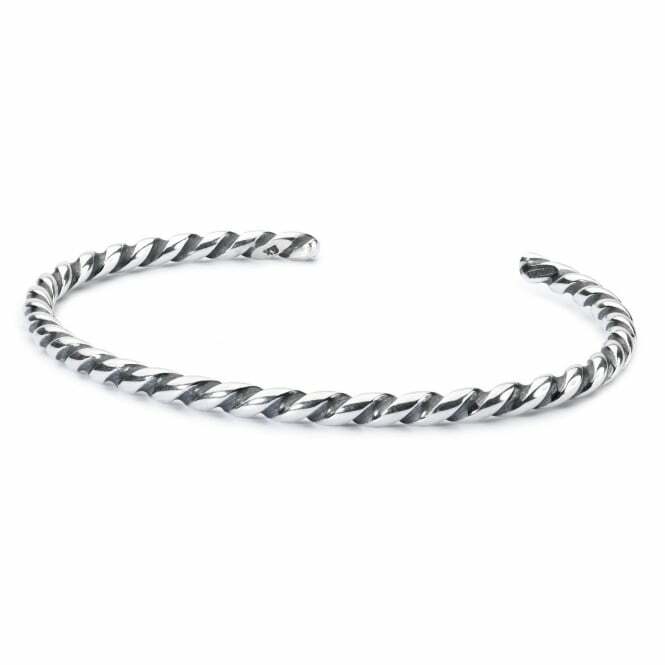 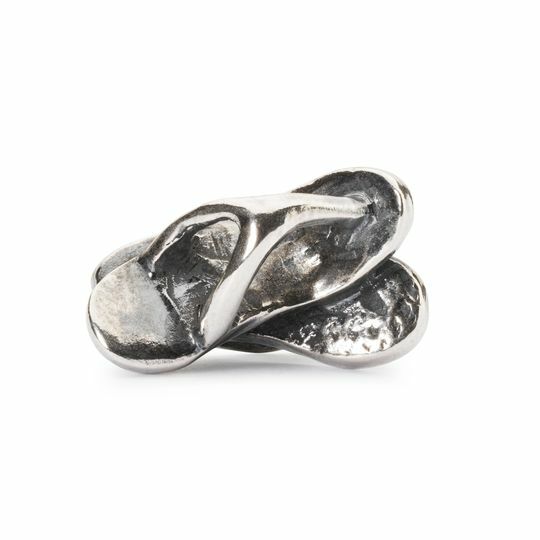 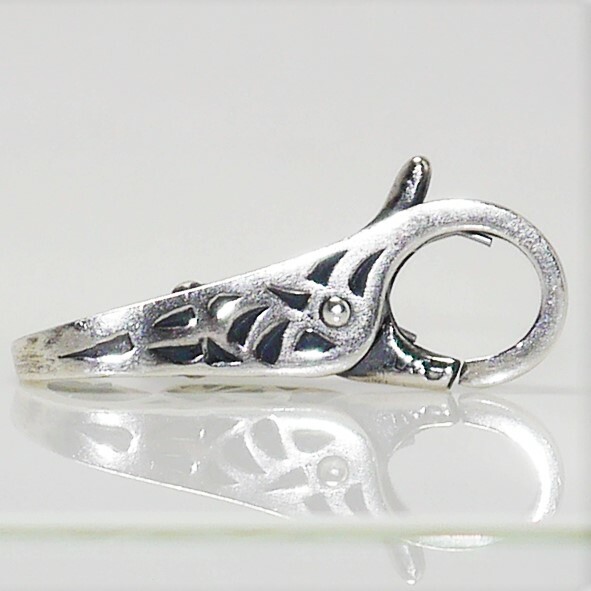 The collection offers a new style of bangle, the Twisted Bangle, in both silver and copper …. 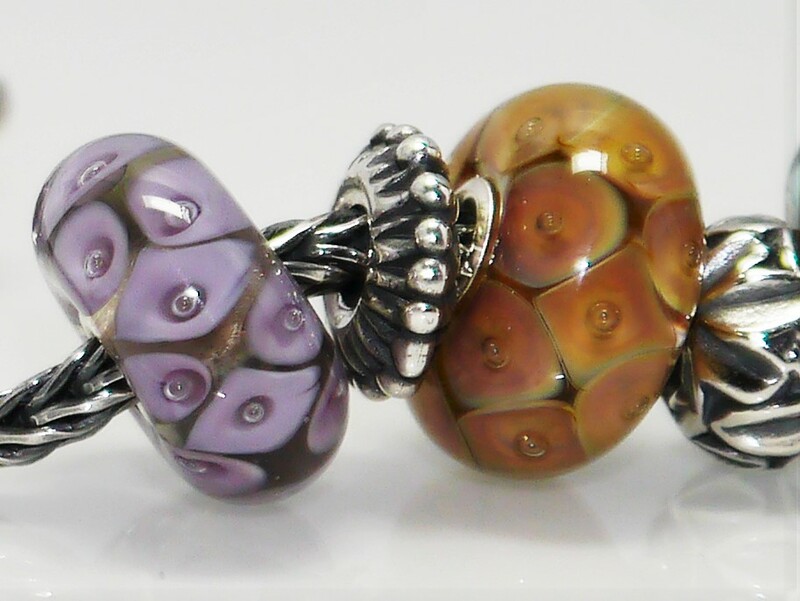 both of which are gorgeous and designed by Lise Aagaard. 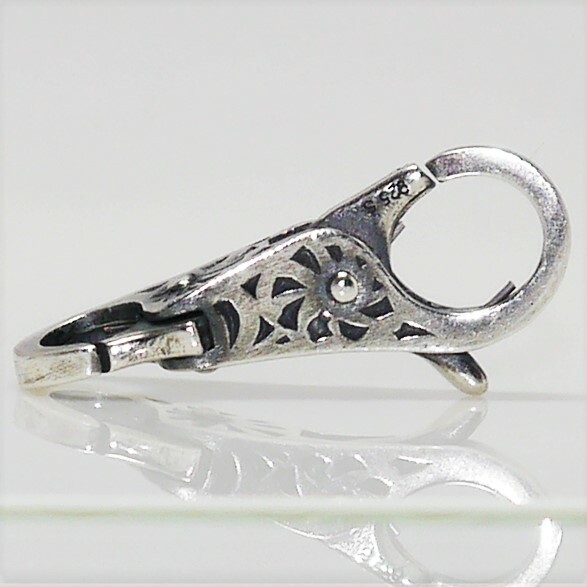 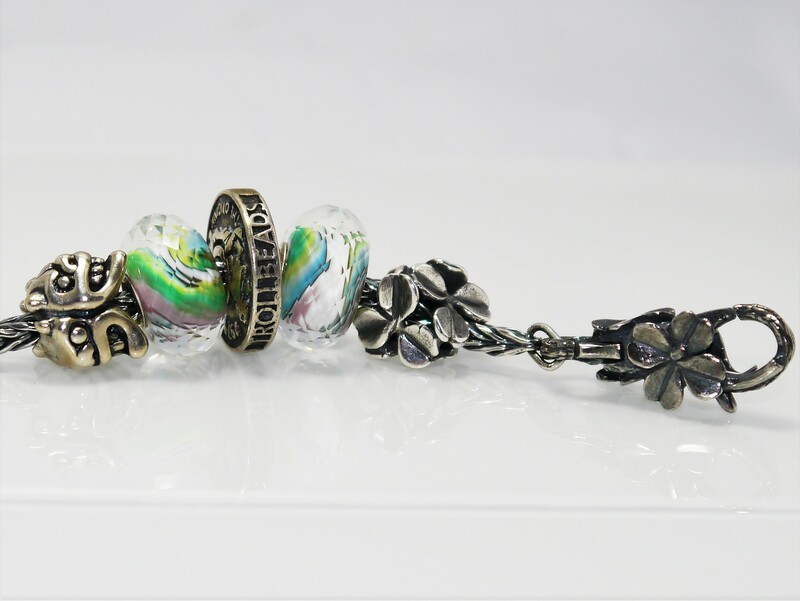 The rest of the collection comprises of 10 silver beads, 6 glass beads, 2 stones, 2 tassels, a lock, a ring and a set of stud earrings. 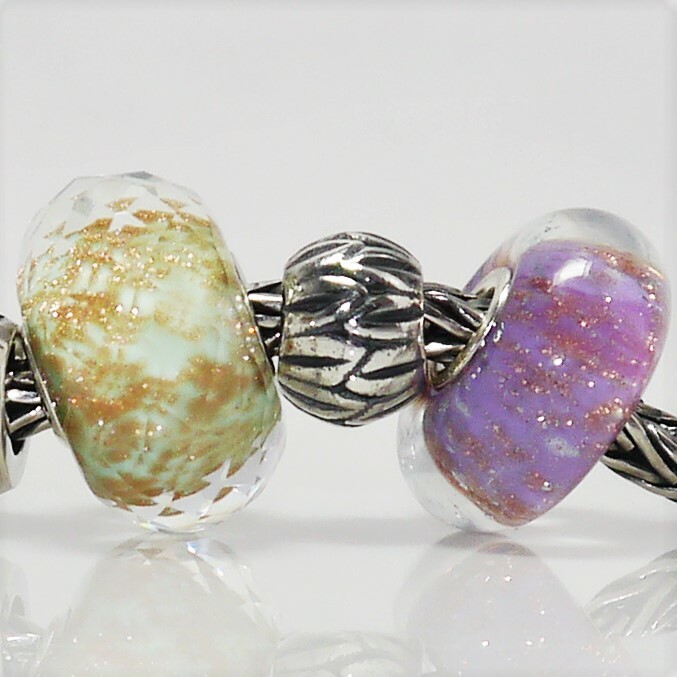 I was very eager to incorporate the new beads with my existing collection, and I have done this with some of the beads. 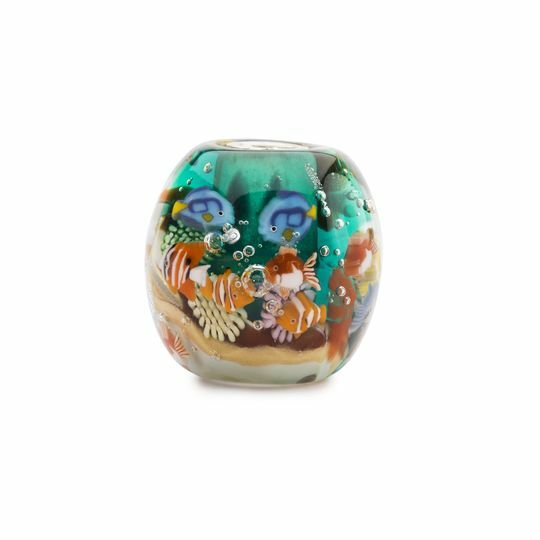 I am eager to get my hands on the rest of the collection when they are officially released, at which point I will do another post to incorporate more of the release and show how the collection as a whole works on its own and with exisiting pieces in the collection. 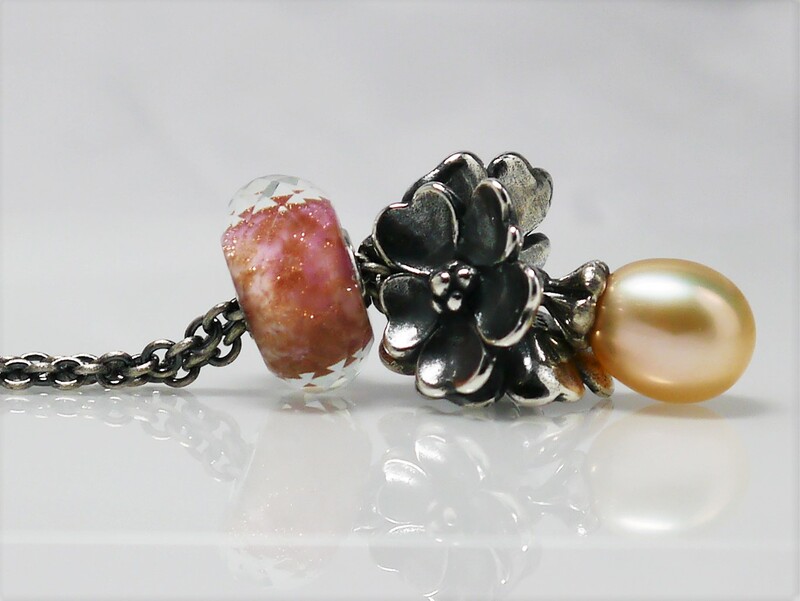 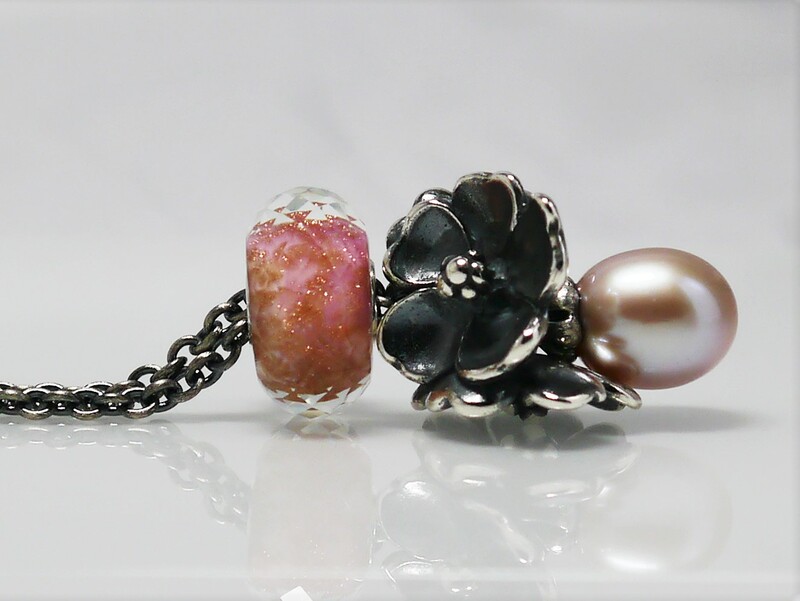 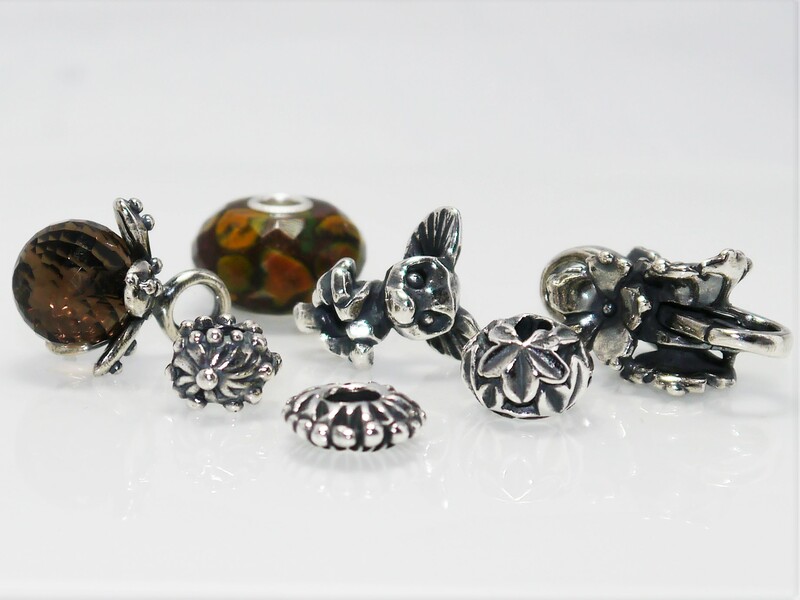 Here is the selection of the beads I received, including a detailed floral lock, a stunning and delicate new dangle and a beautiful new stone bead …. 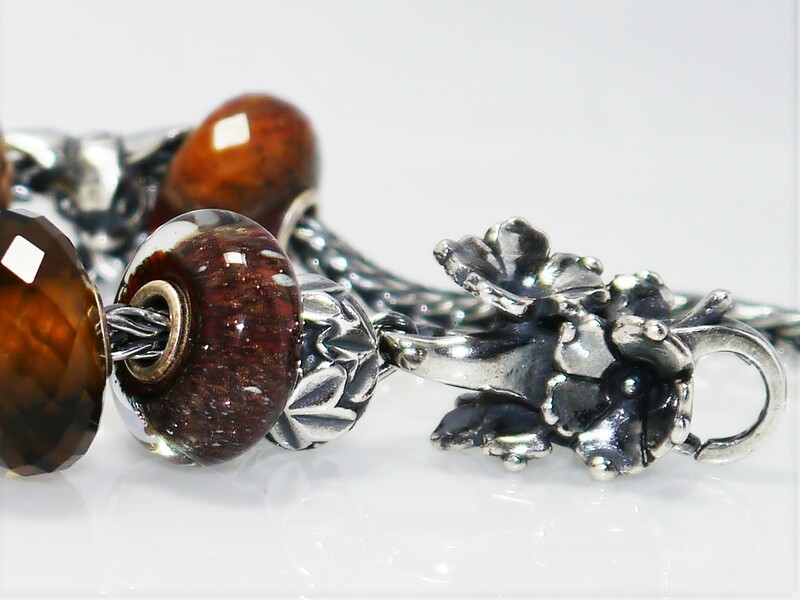 I really hope you enjoy seeing the pictures and I can’t wait to see the rest of the collection in real life. 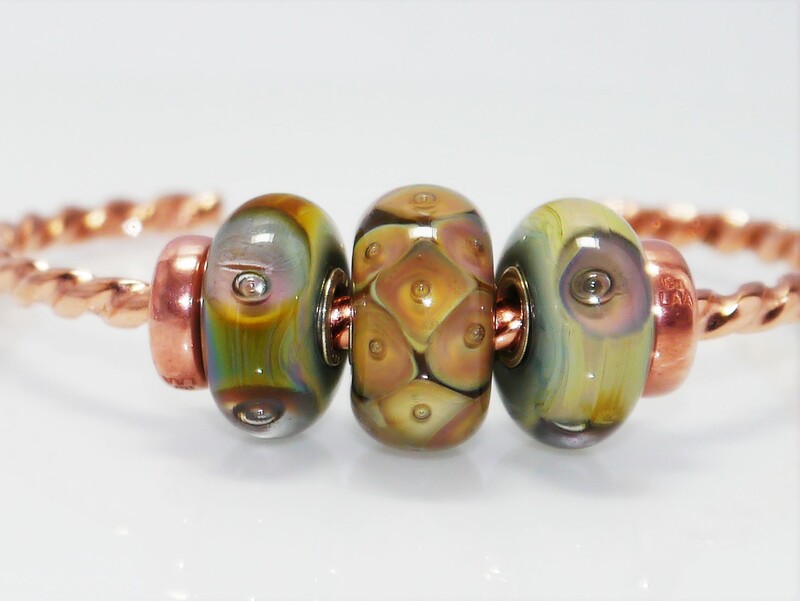 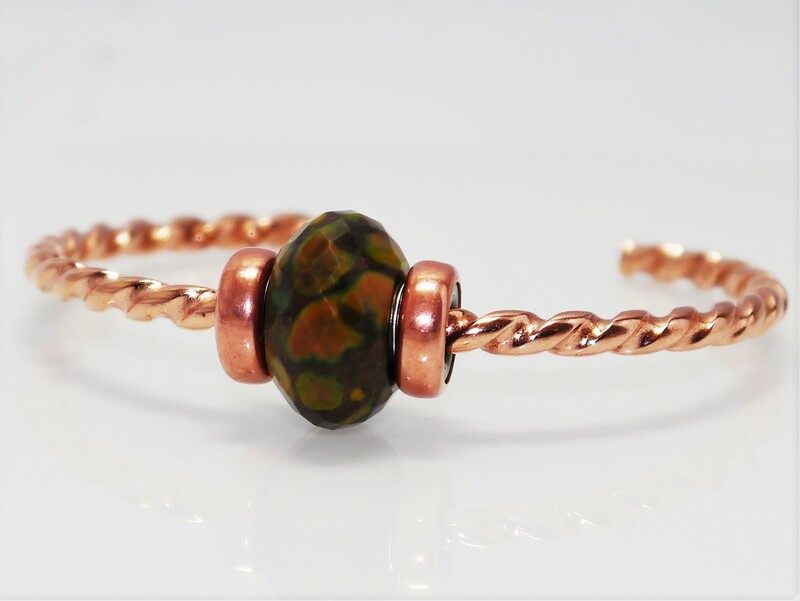 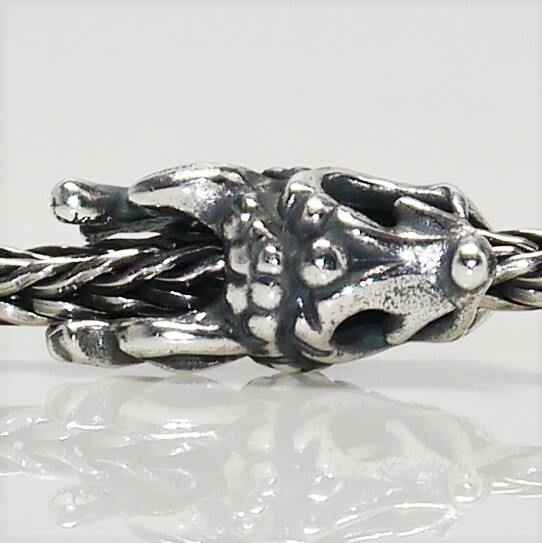 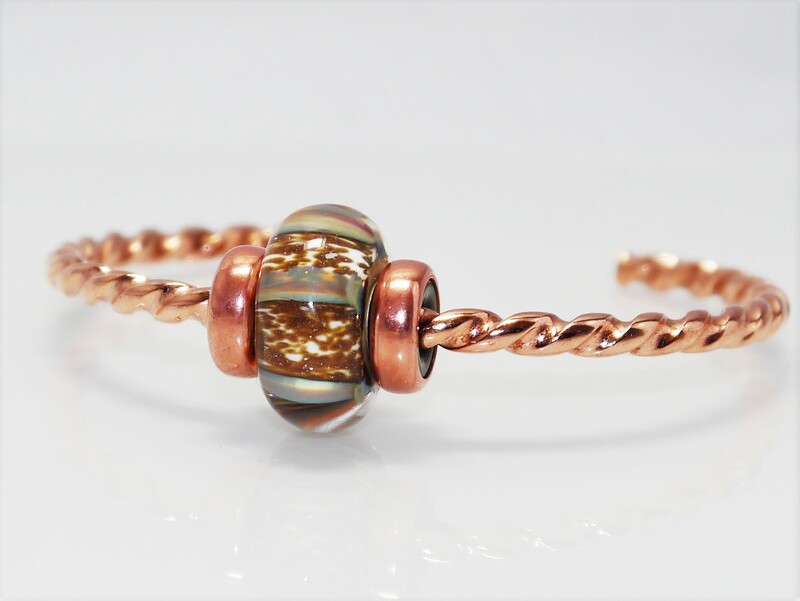 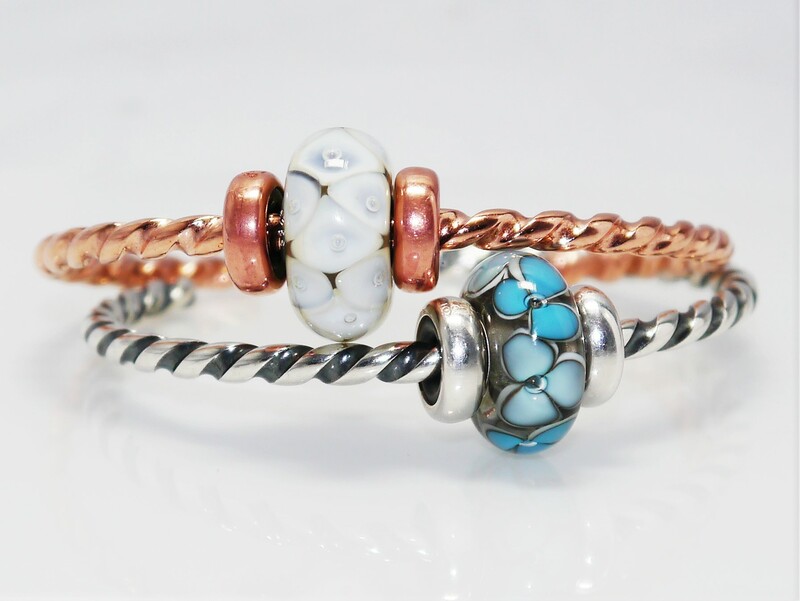 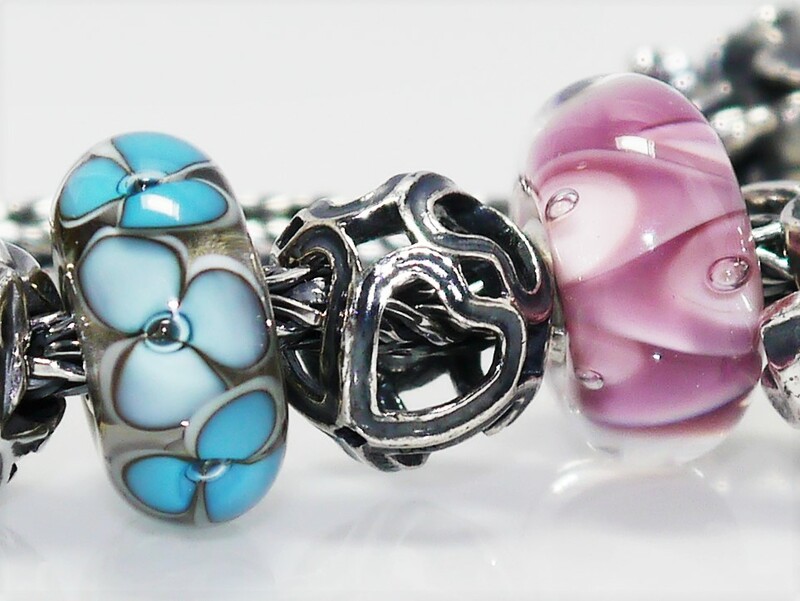 Today’s post brings a review of Trollbeads 40th Anniversary Bracelet. 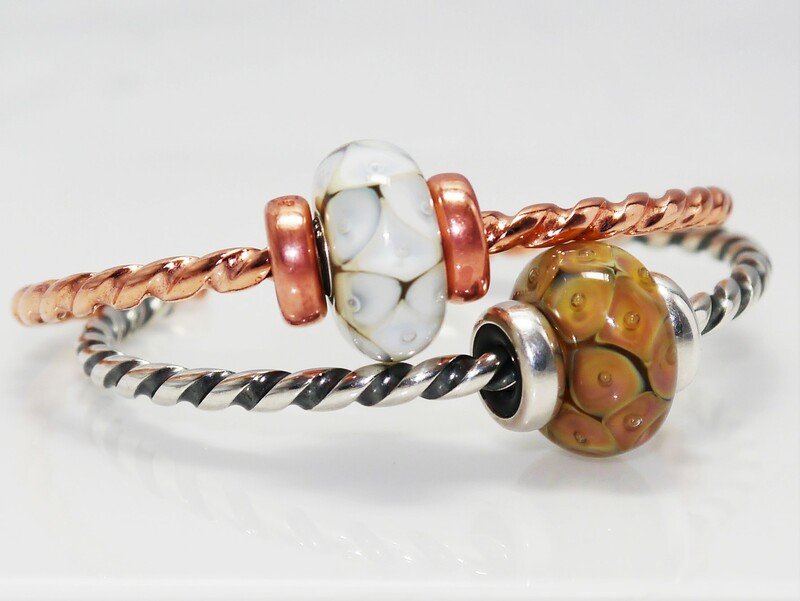 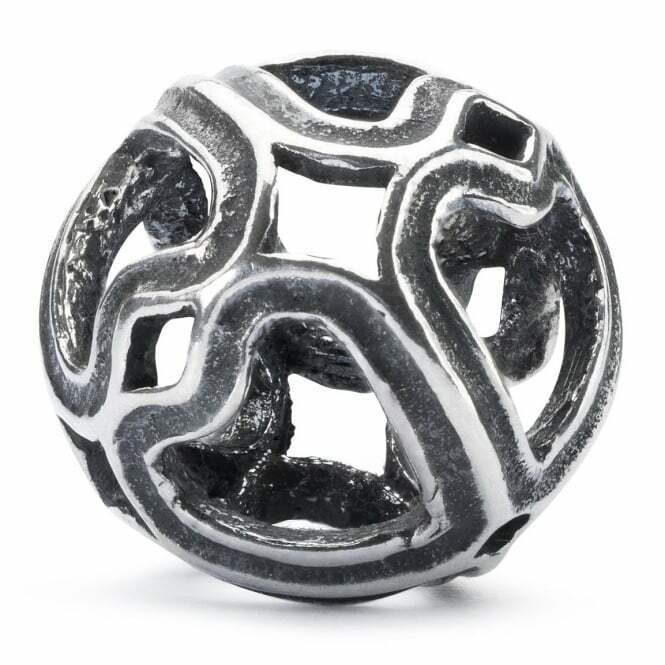 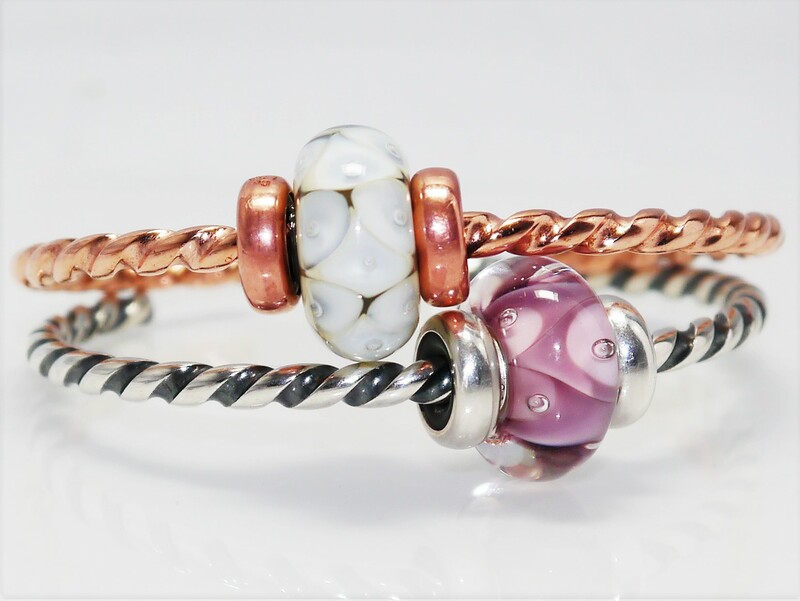 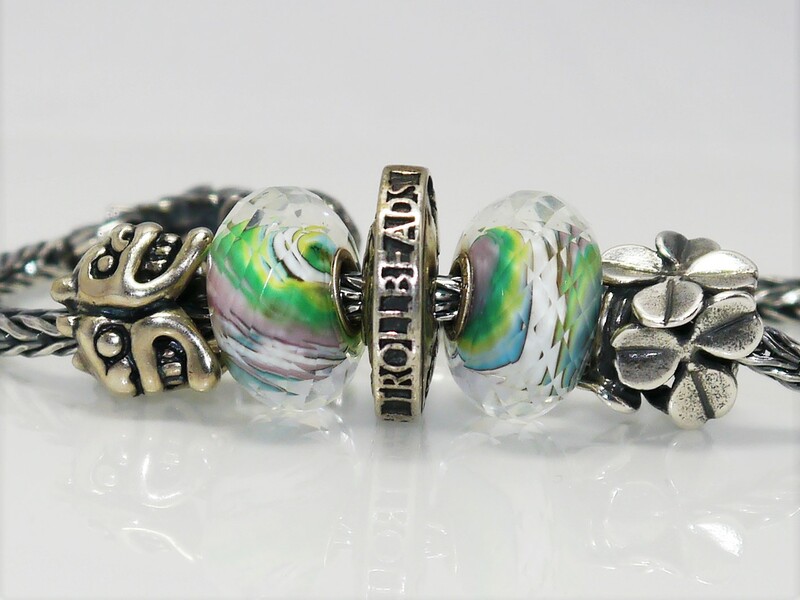 For Trollbeads 30th Anniversary they released a very limited bracelet with multiple beads and a high retail price, the components of which are very sought after by collectors today. 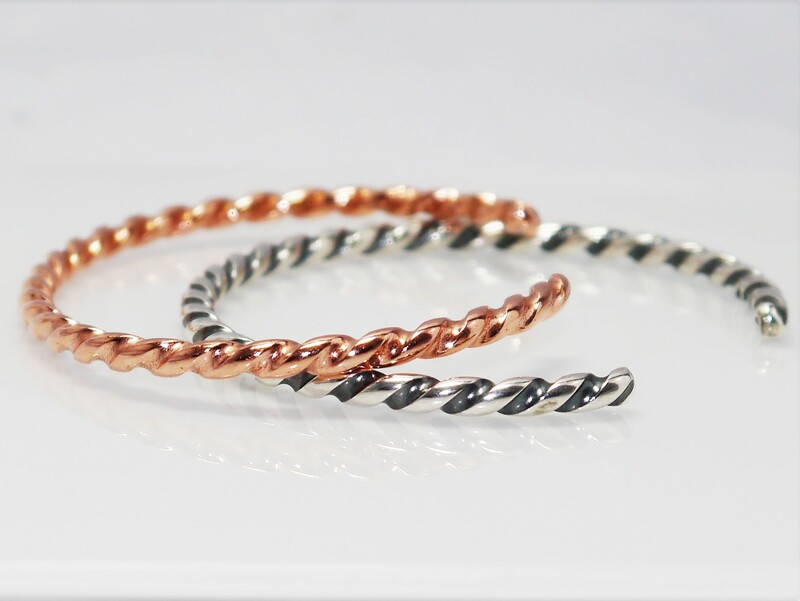 For their 40th Anniversary, they have produced a bracelet which is much more affordable and obtainable, and beautifully detailed. 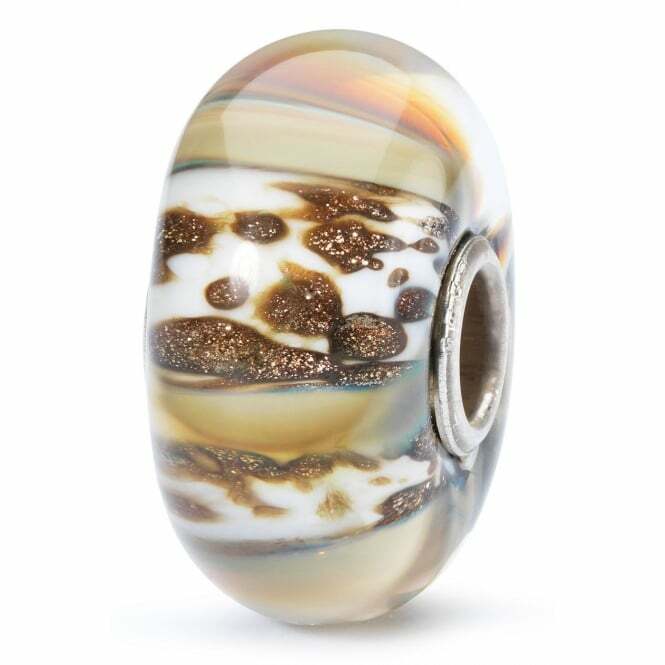 My only disappointment is the high price of the Trollbeads Day bead for 2016, which is a gold version of the silver bead of the anniversary bracelet. 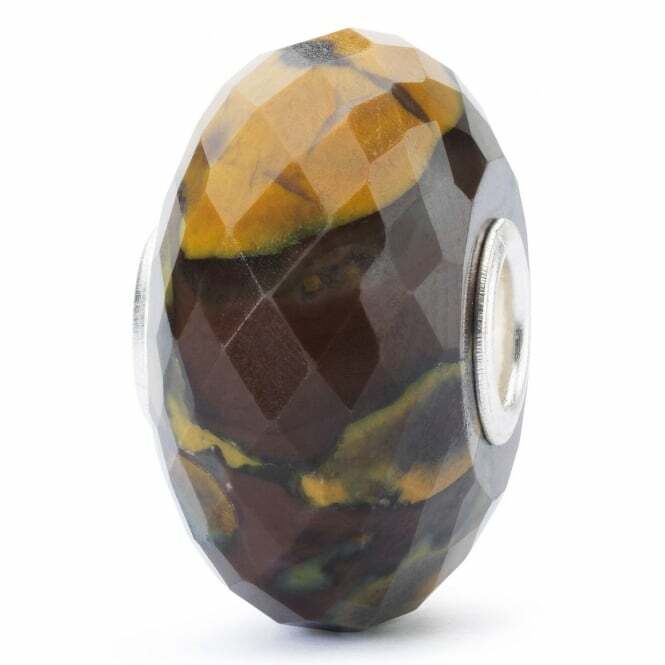 Due to it being 18k gold, it is out of the reach of many collectors, including myself. 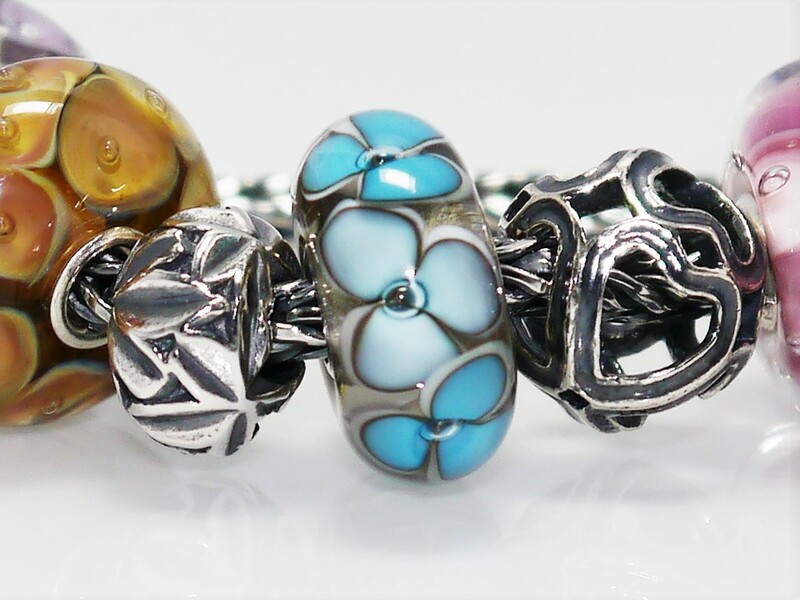 Personally i feel it would have been better to have the silver bead as the Trollbeads Day bead, the silver bracelet and lock as the Trollbeads Anniversary bracelet and then the gold bead sold separately as another component of the anniversary bracelet. 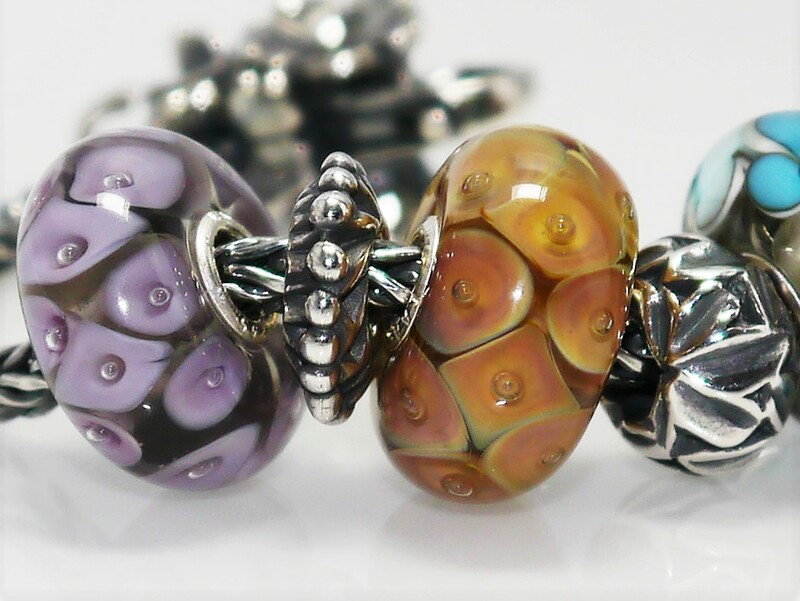 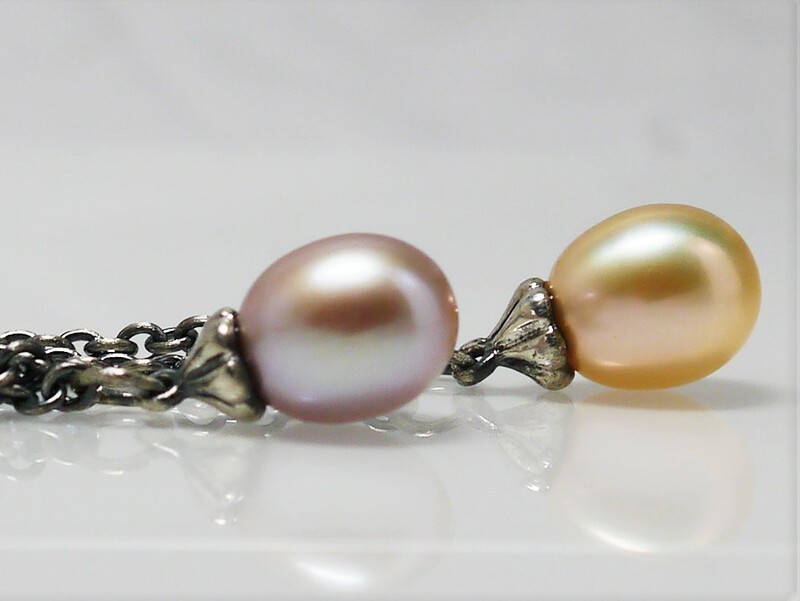 This would have allowed more collectors to obtain the Trollbeads Day bead for their collection and would have still enabled a market for the gold bead for those who wished to, and could afford to, complete the Anniversary bracelet. 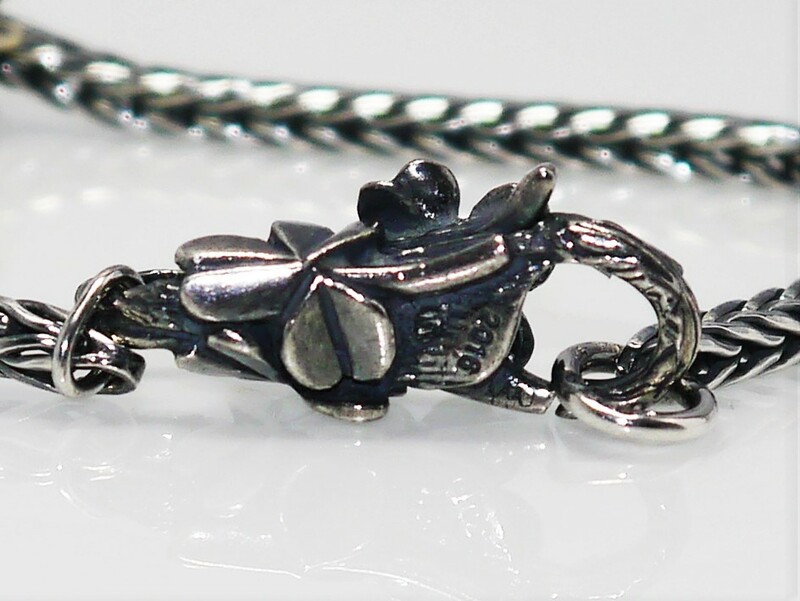 All that being said, I absolutely adore the 40th Anniversary bracelet. 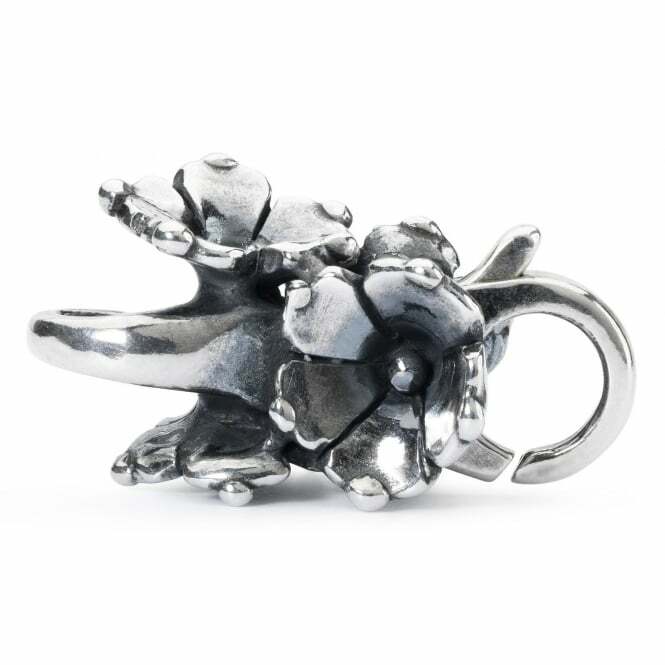 The lock is exquisite, the texturing reminds me of the Troll Tree lock and the inclusion of the year ‘2016’ being inscribed makes it very collectable. 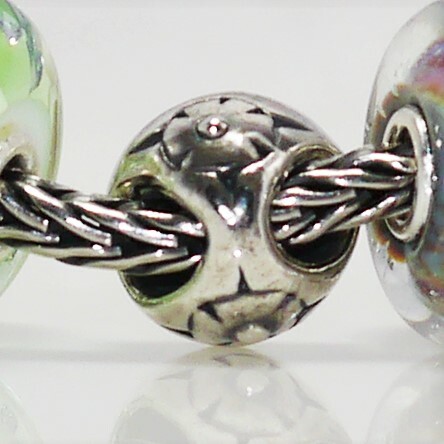 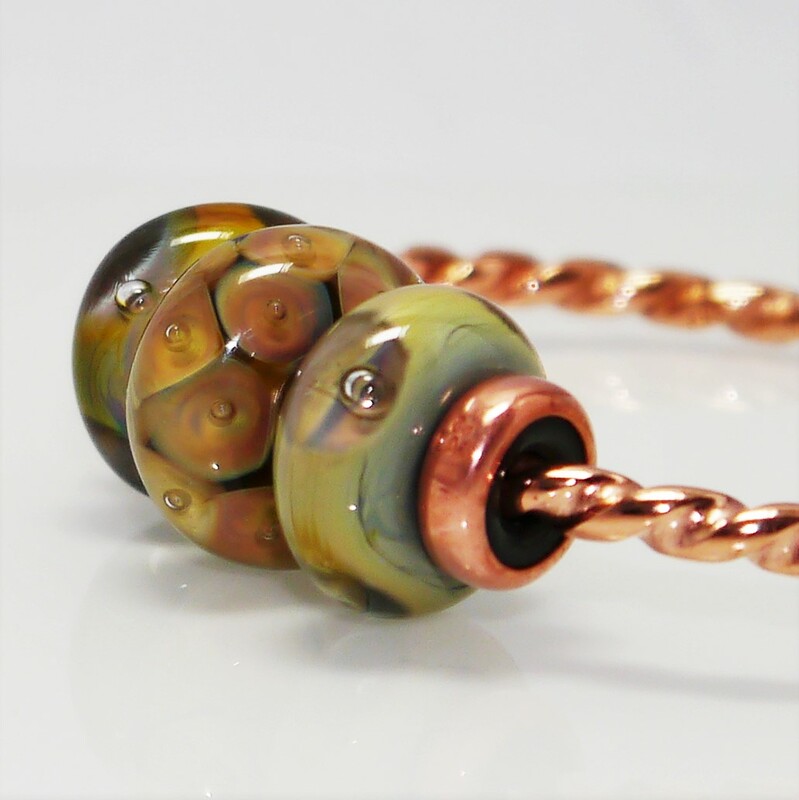 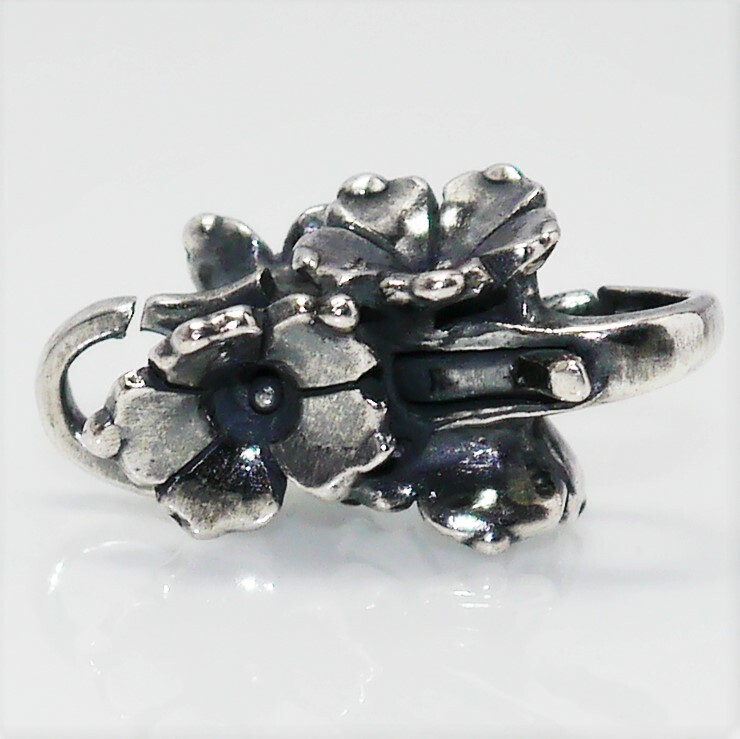 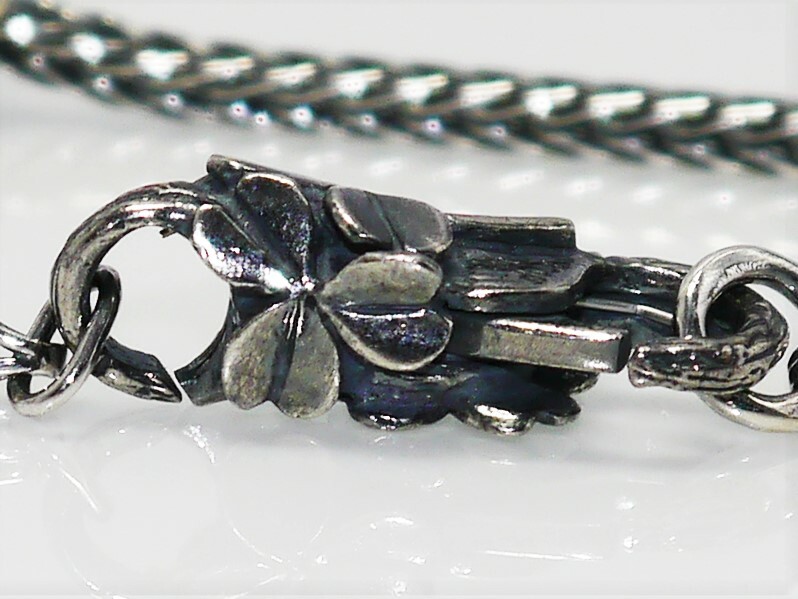 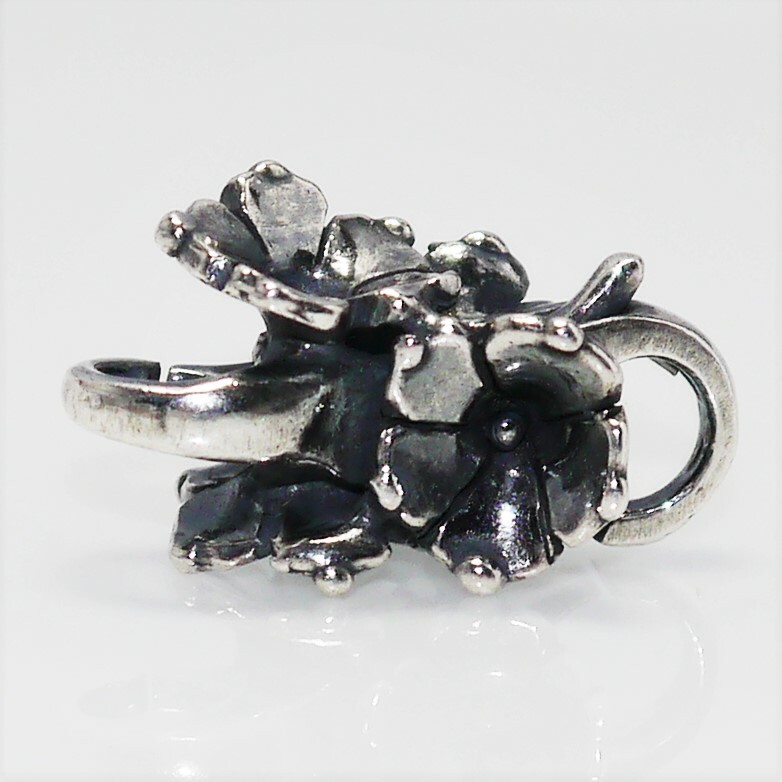 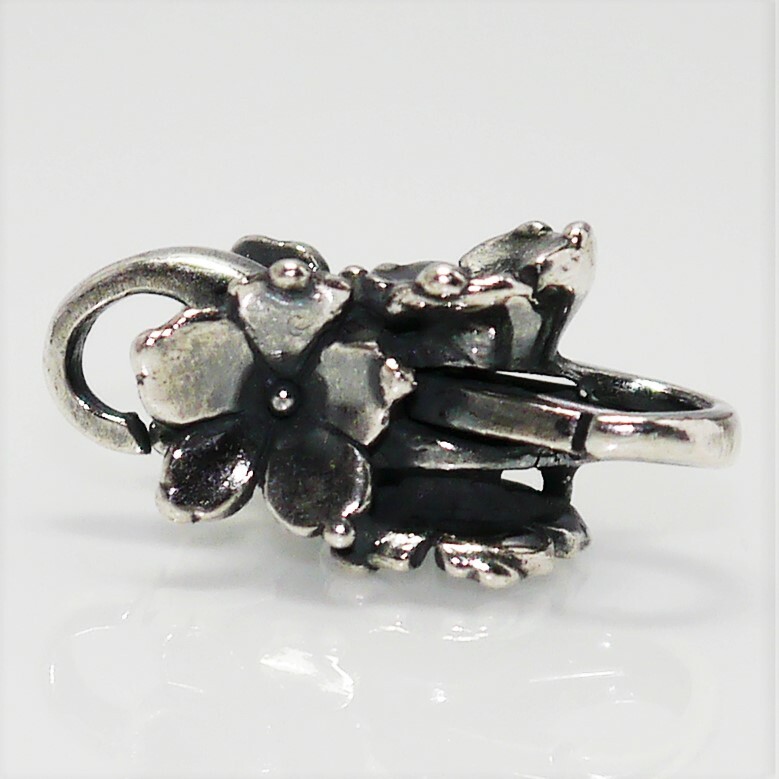 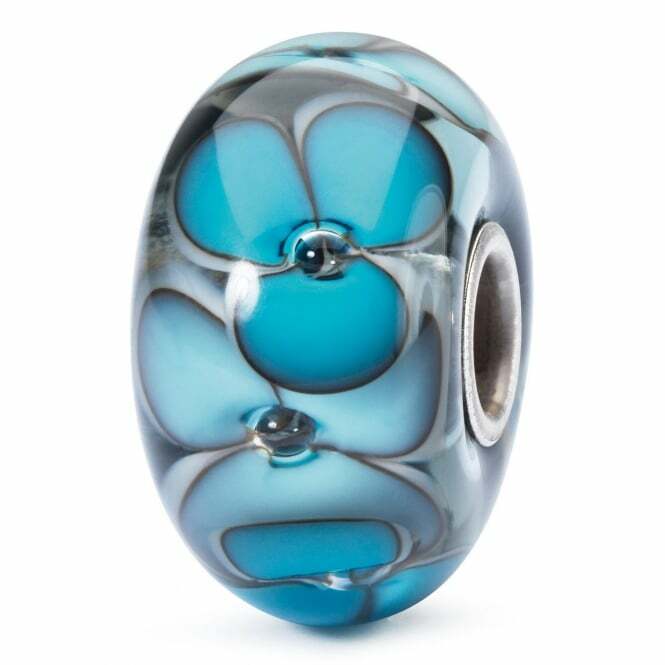 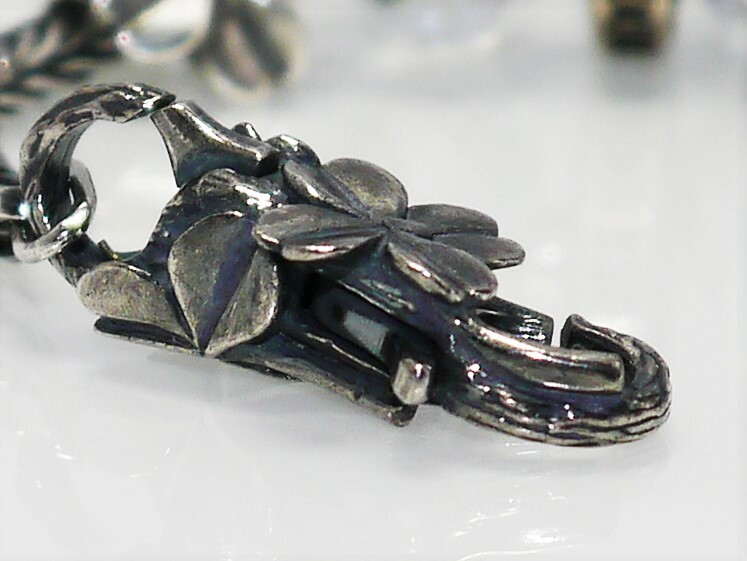 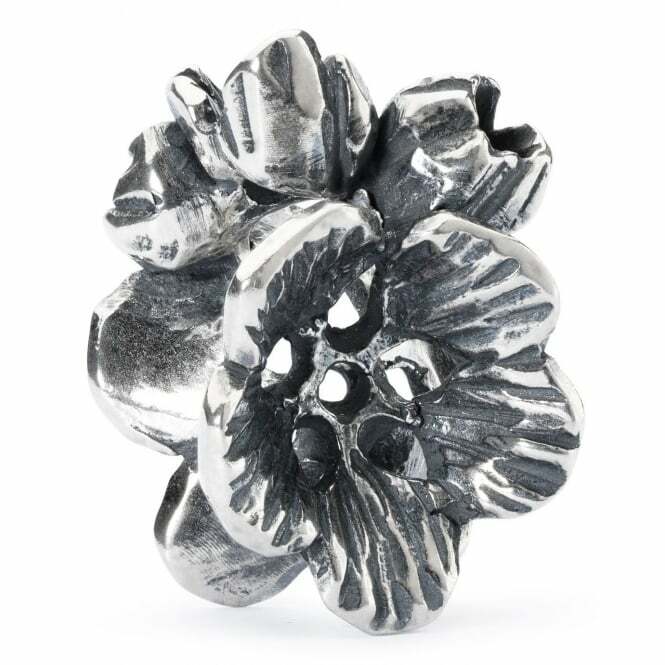 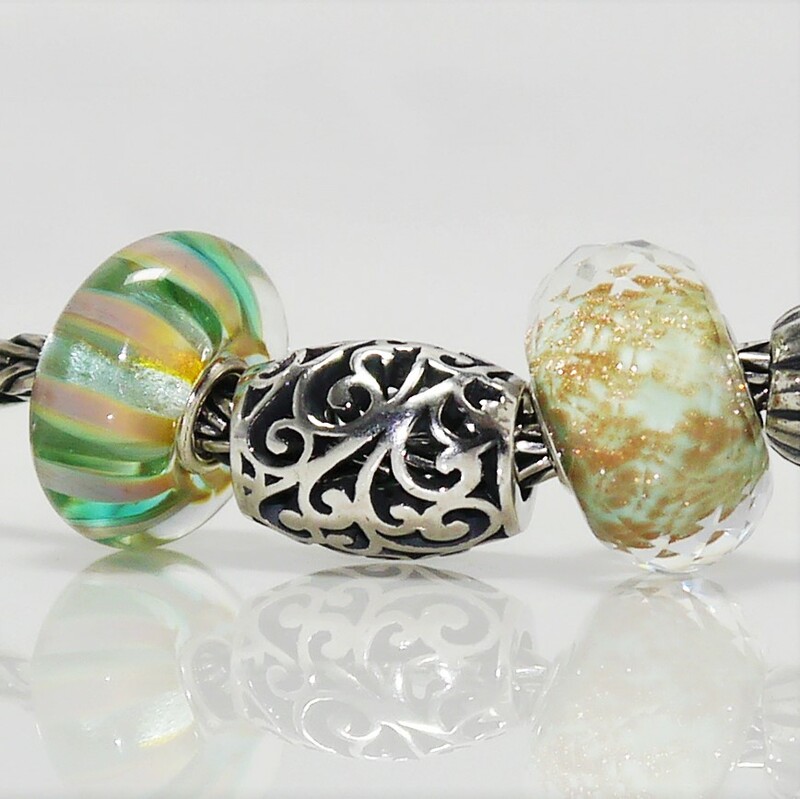 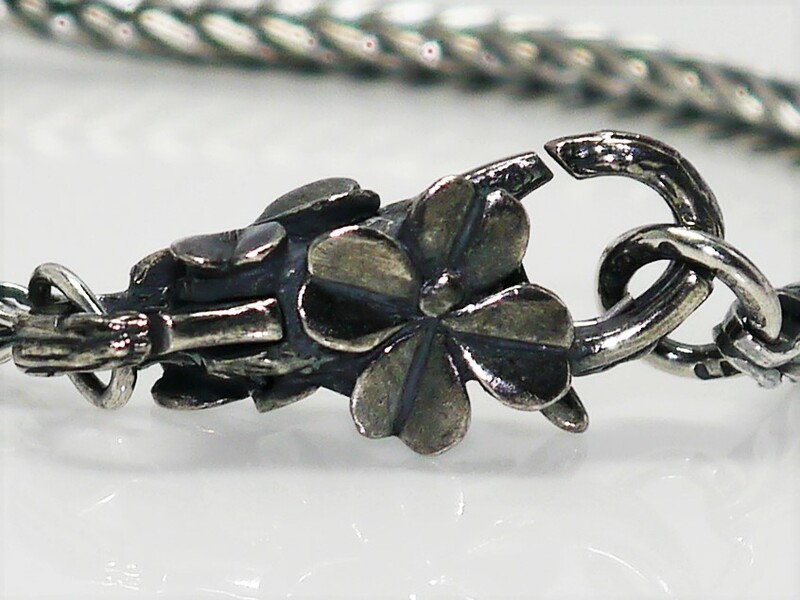 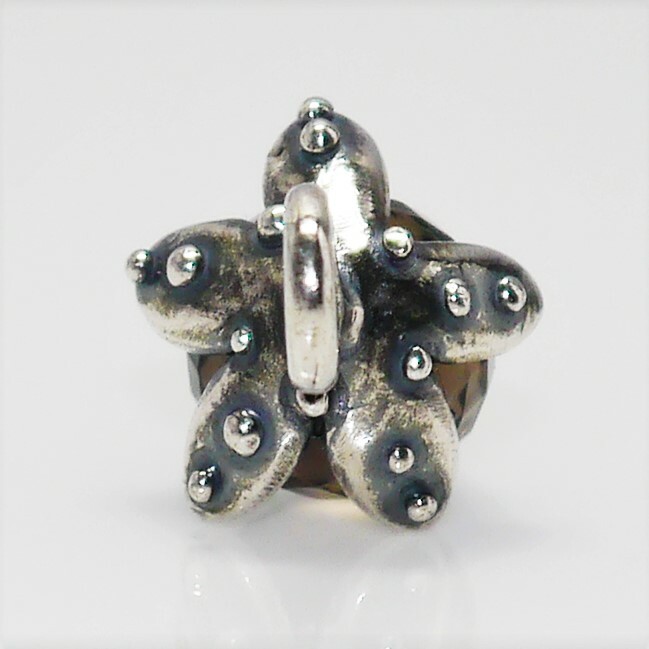 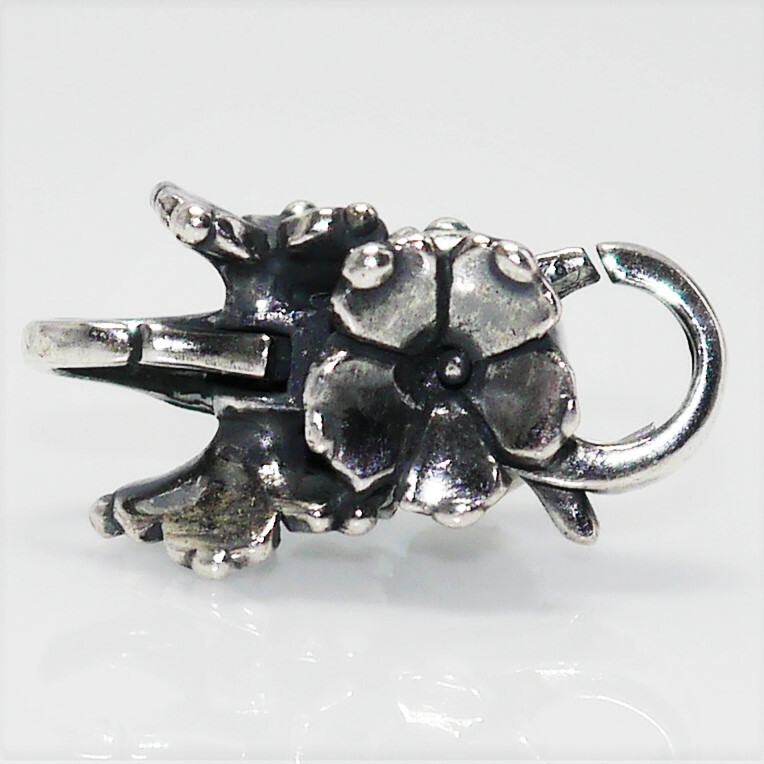 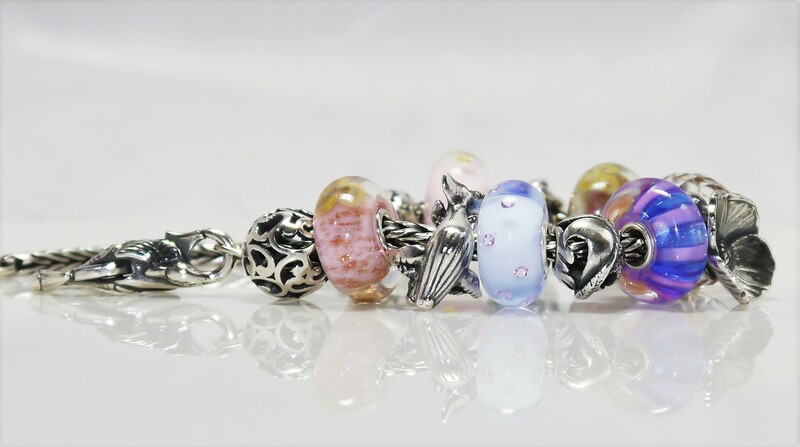 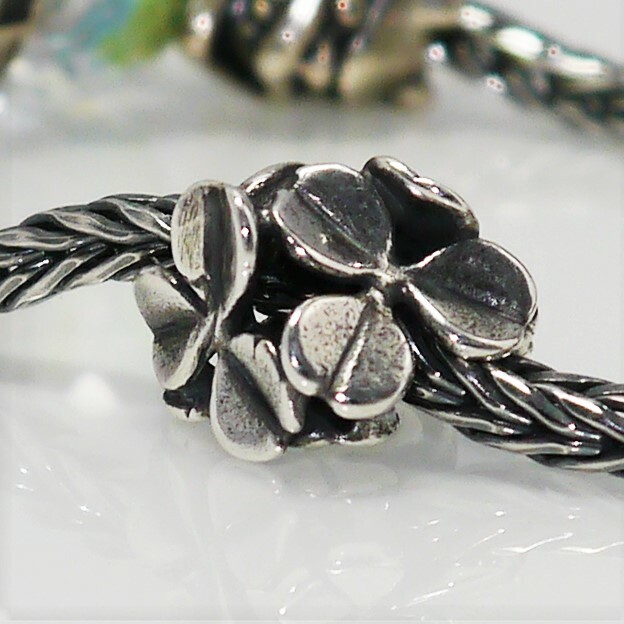 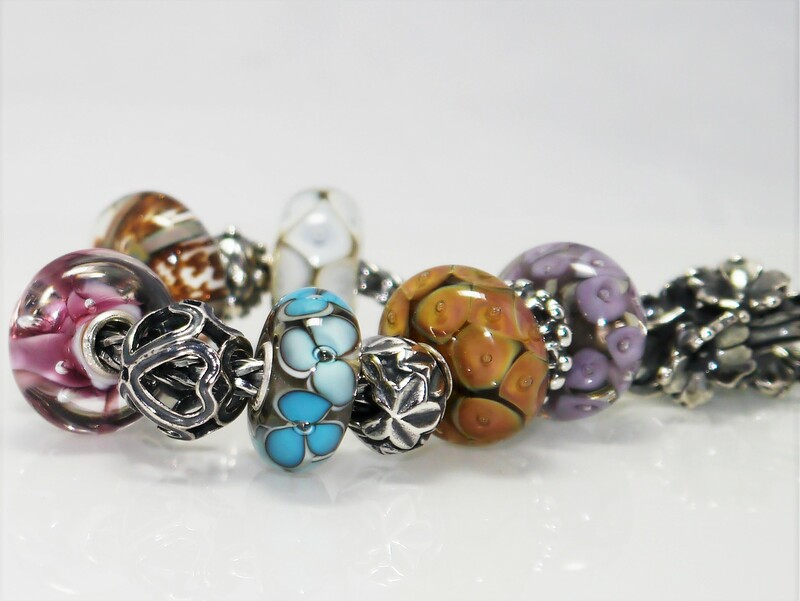 The four leaf clover design works beautifully with many of Trollbeads release over the past few years. 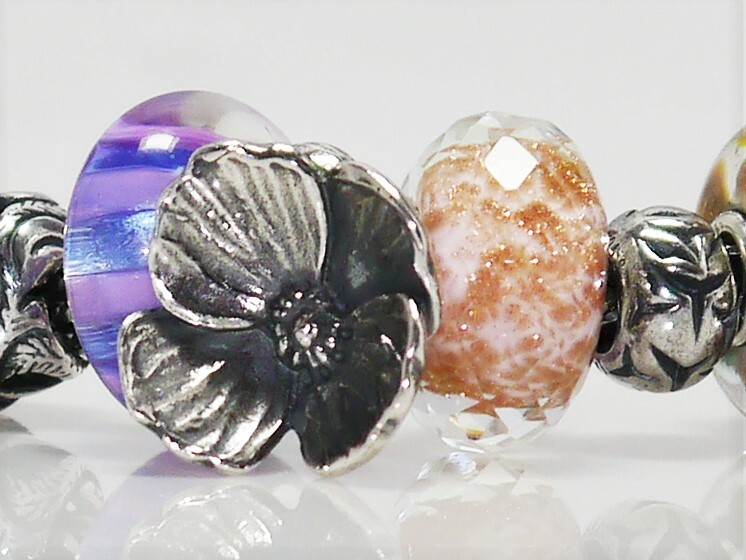 I put all the silver Birth Month Flower from the Autumn 2013 collection on the bracelet, with no glass, and the effect was beautiful. 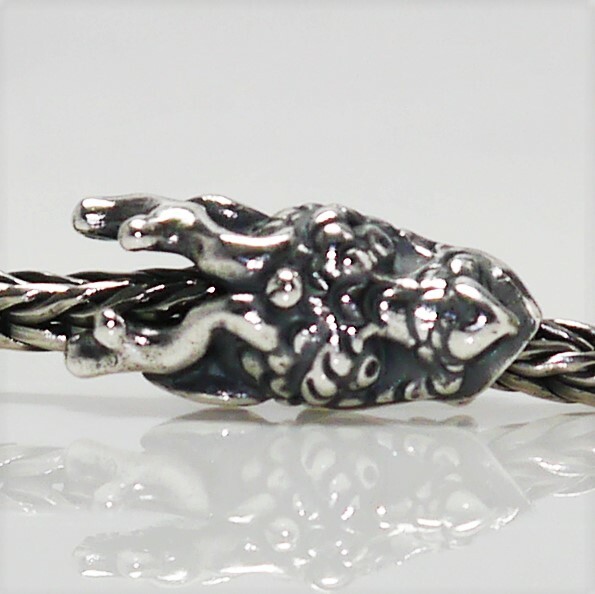 I actually wish i had photographed it for this post, but i will do in future. 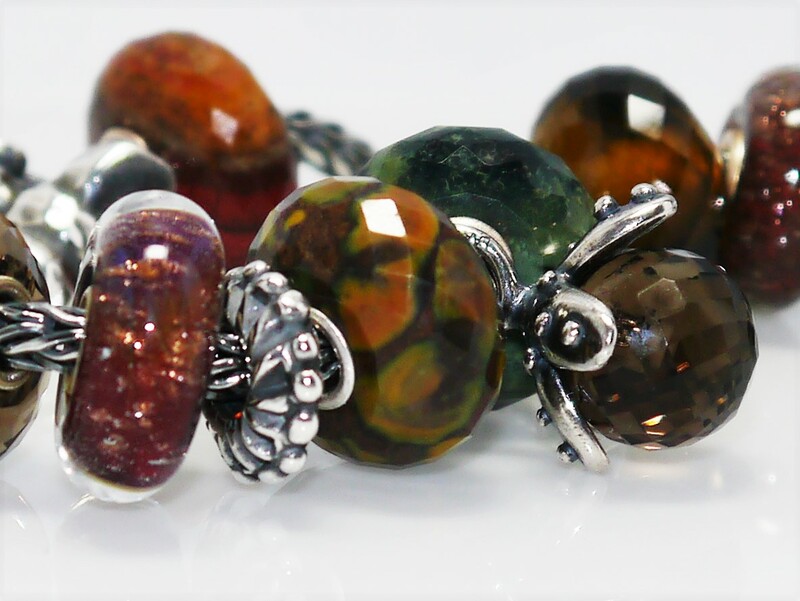 Anyway, here are some close up images, styled with the previous Trollbeads Day beads, and the Trollbeads Troll Coin …. 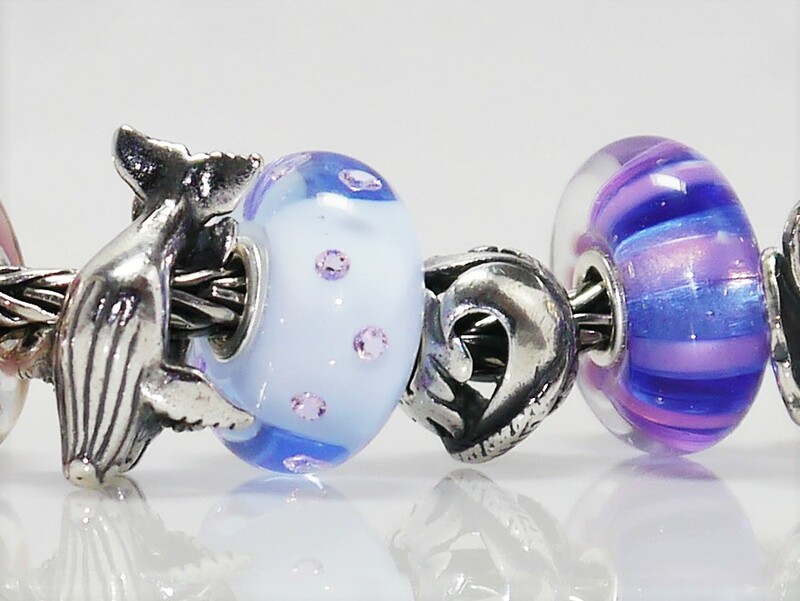 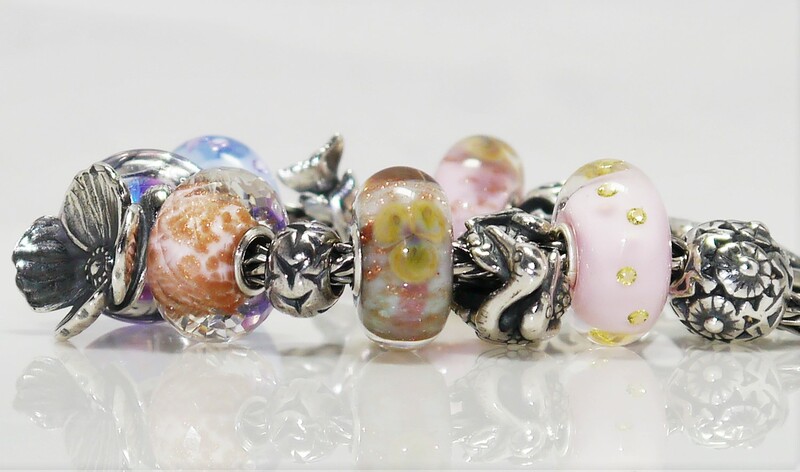 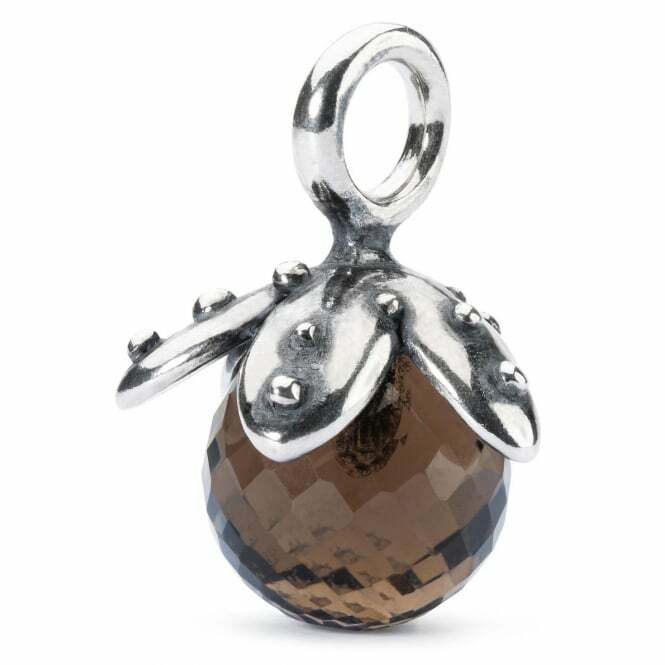 Trollbeads release their Autumn Collection for 2016 on 9th September. 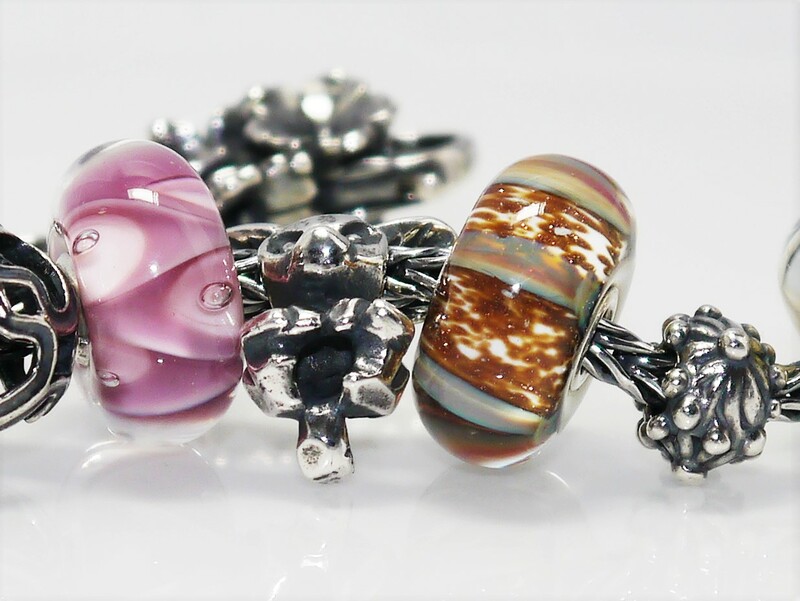 Trollbeads have very kindly sent me a selection of the new collection which I have already enjoyed having a play with. 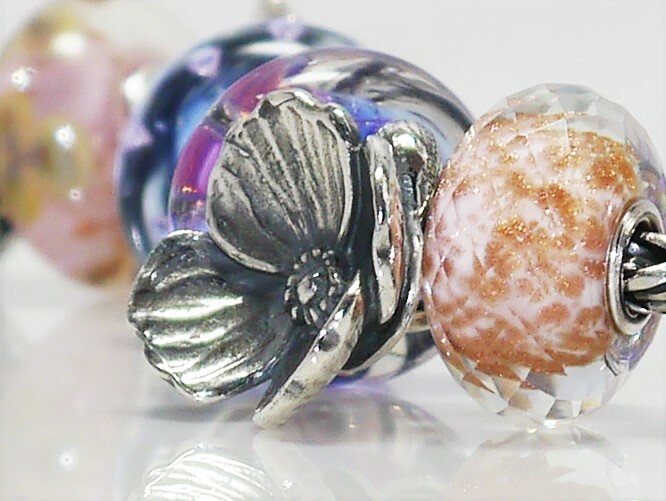 I have lots of lovely photos waiting here, which I can share with you on 8th August, when the collection is made available to retailers, so please keep your eyes out for my post on that day!